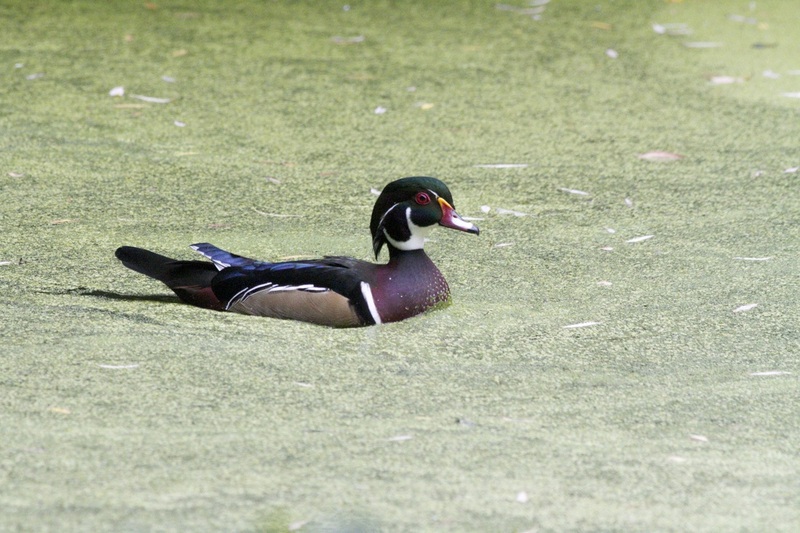 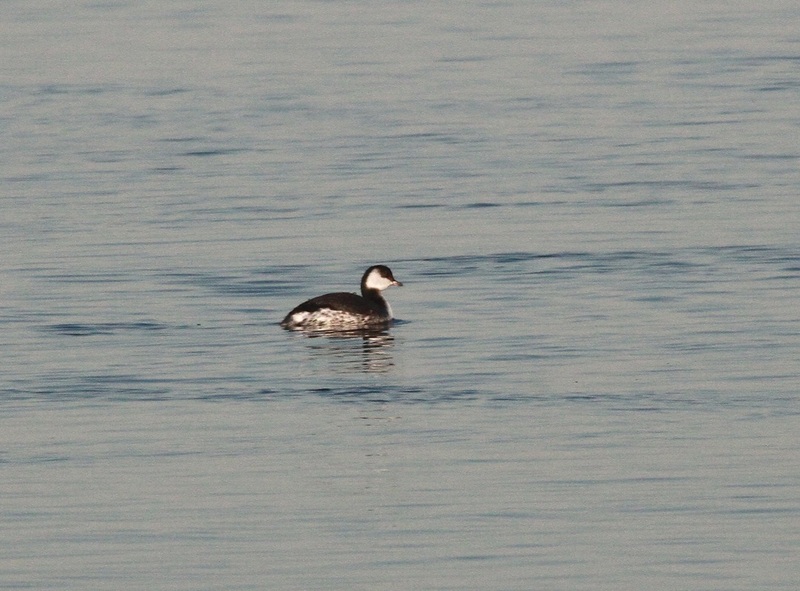 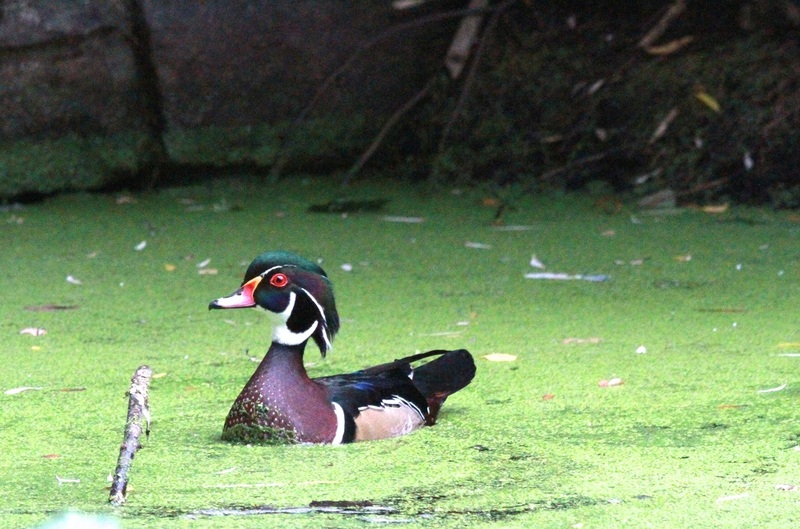 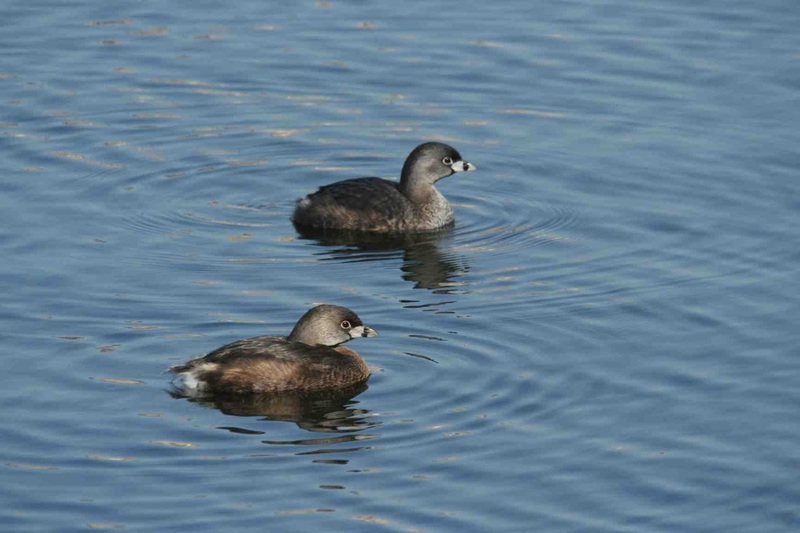 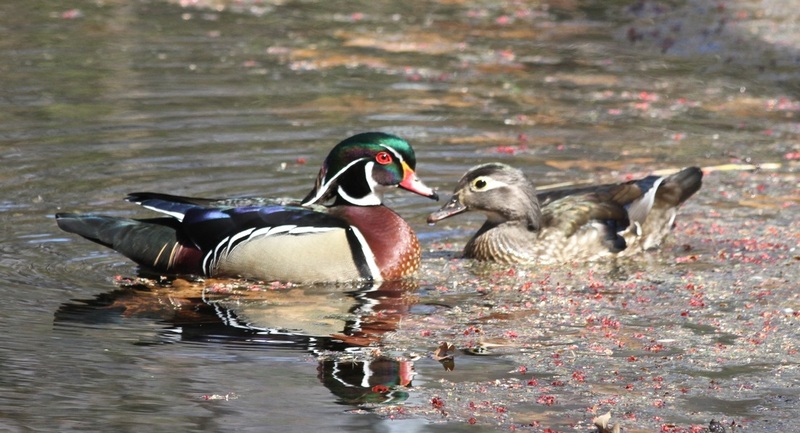 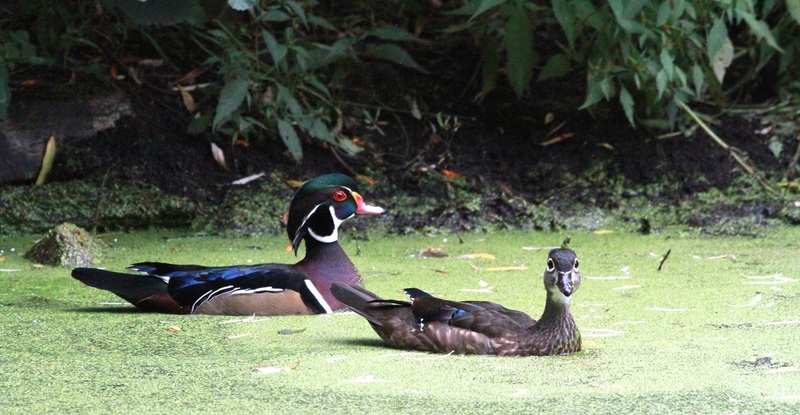 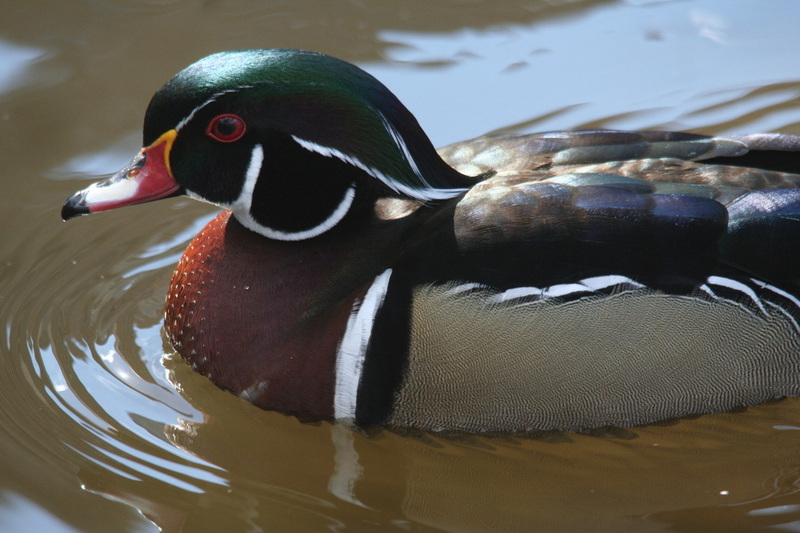 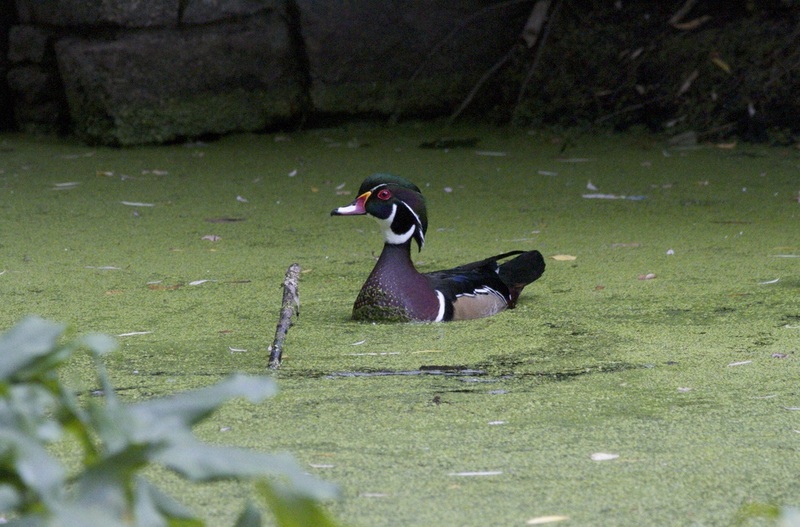 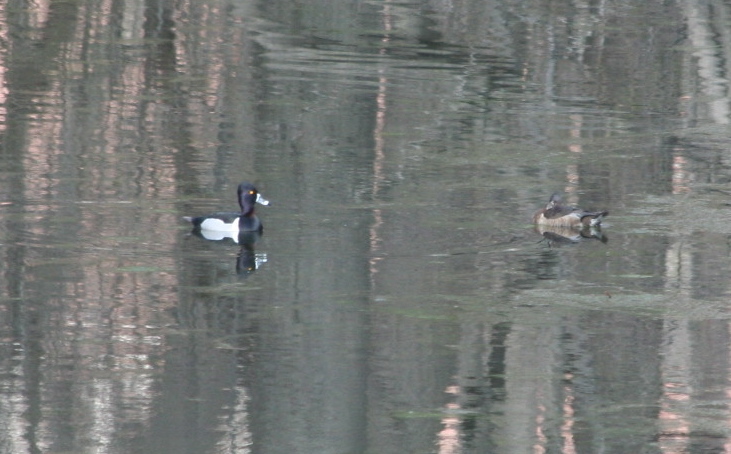 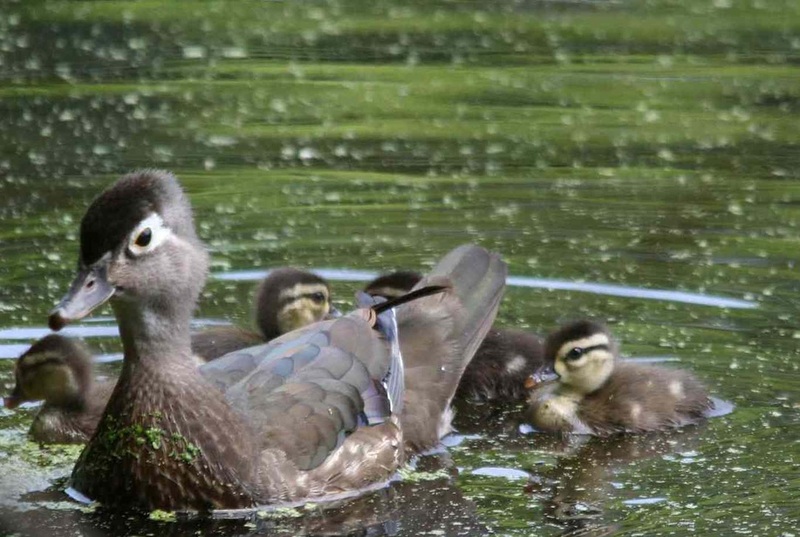 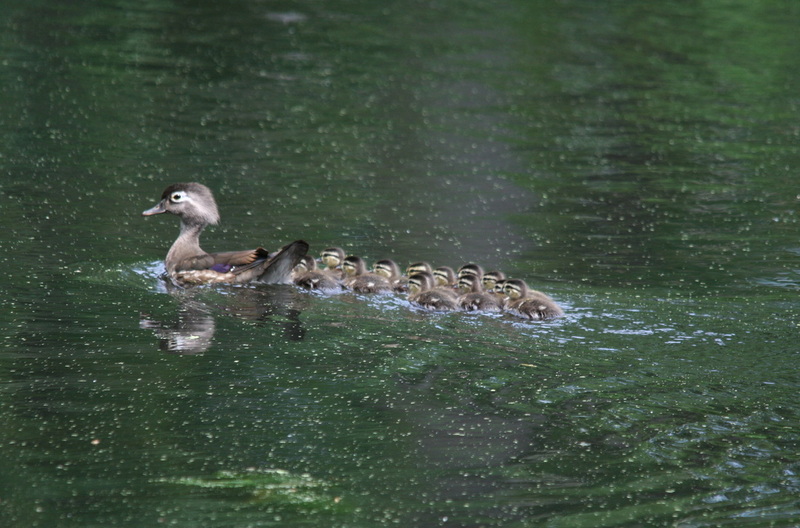 The New York Botanical Garden is home to many nesting Wood Ducks. 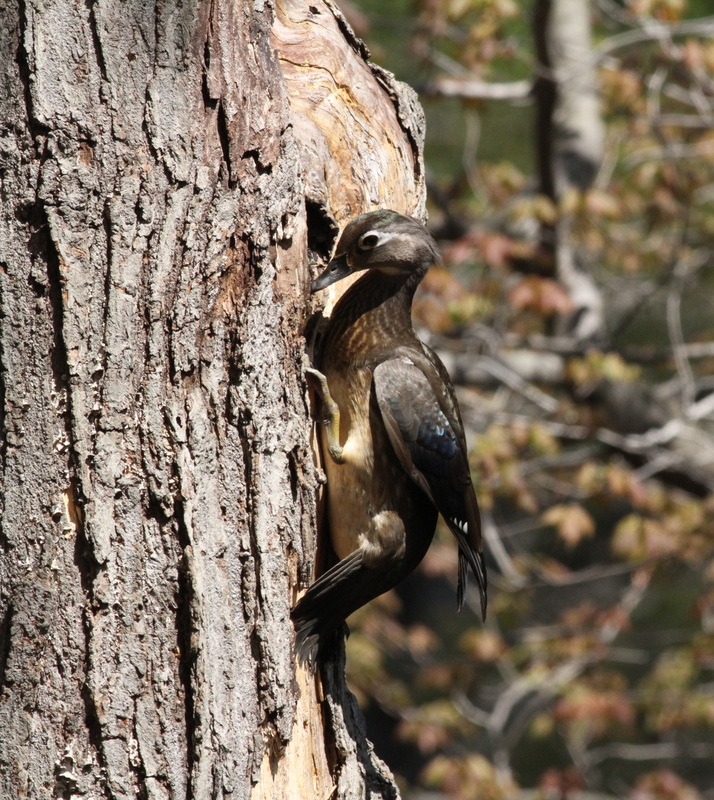 They usually nest in hollow tree logs that have fallen during a storm. 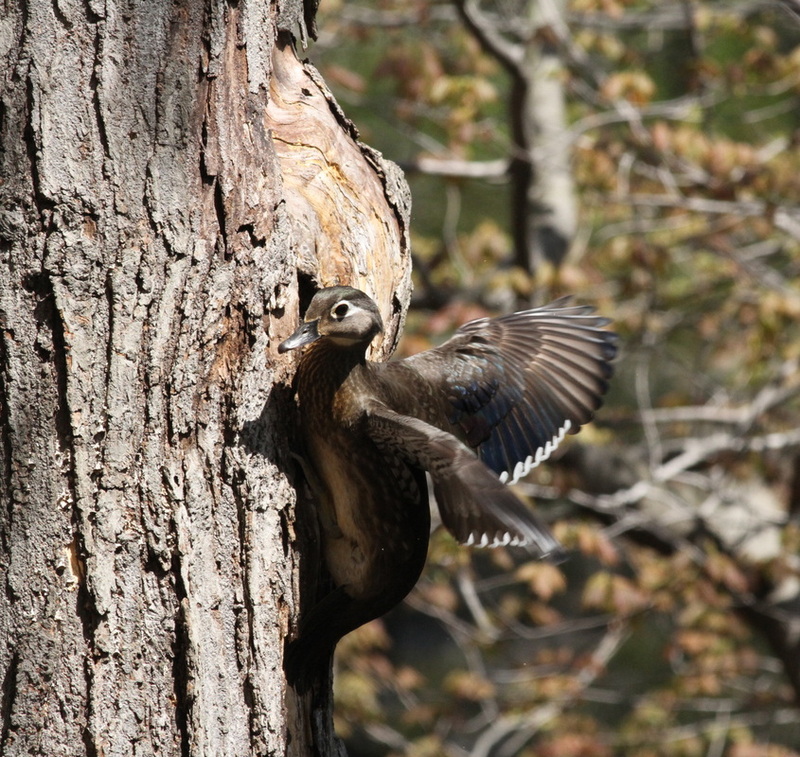 During the 2013 nesting season we were treated to an unusual sight at NYBG. 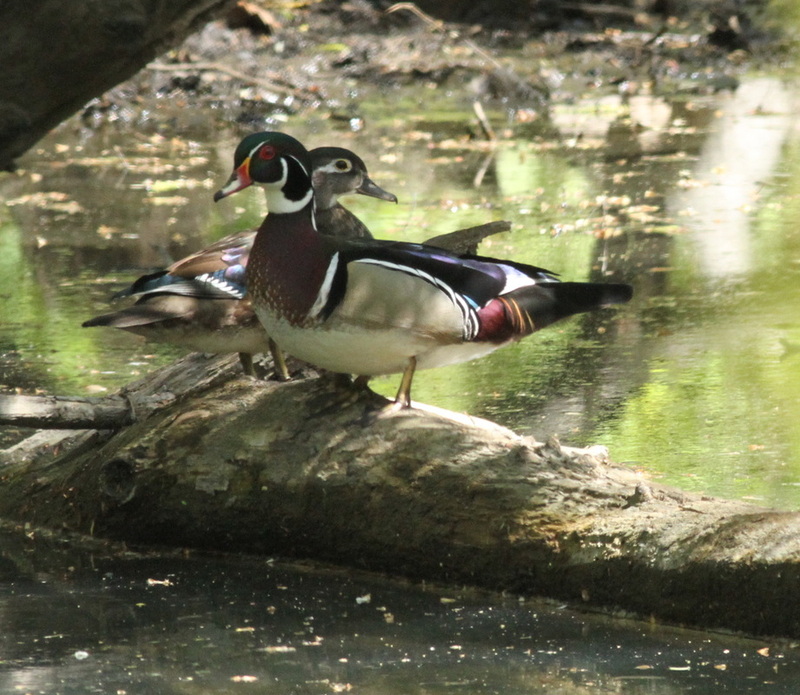 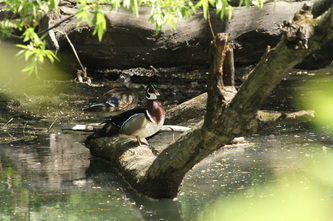 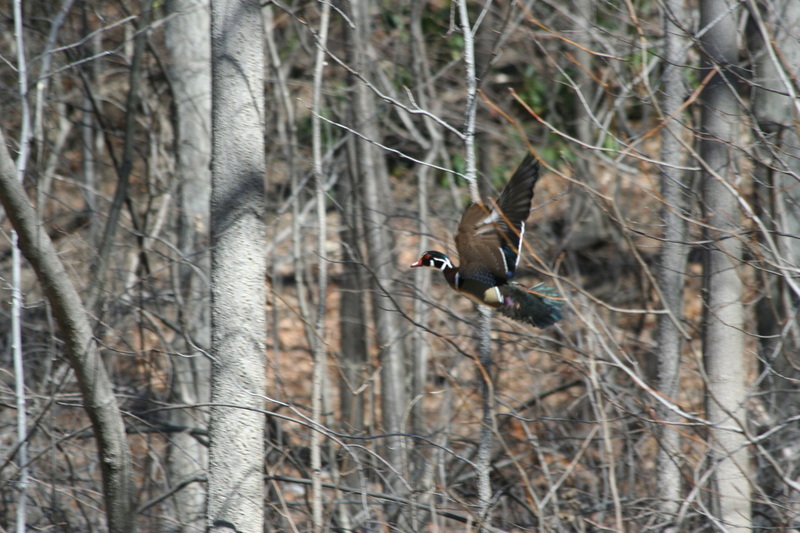 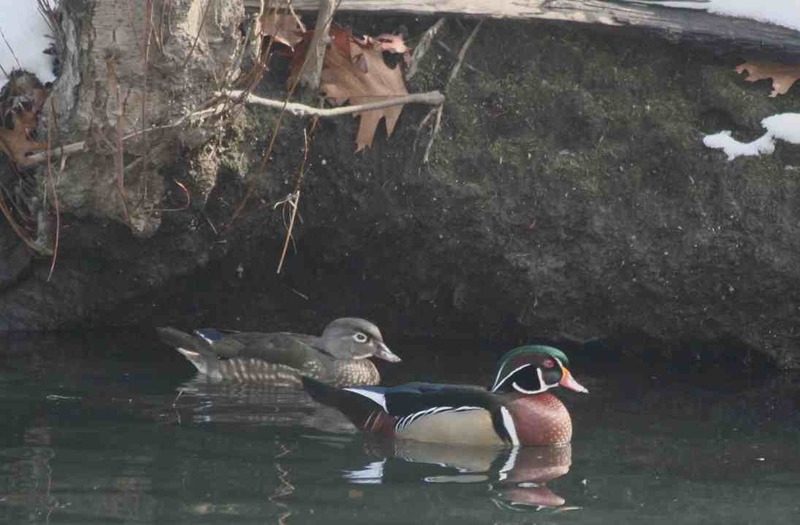 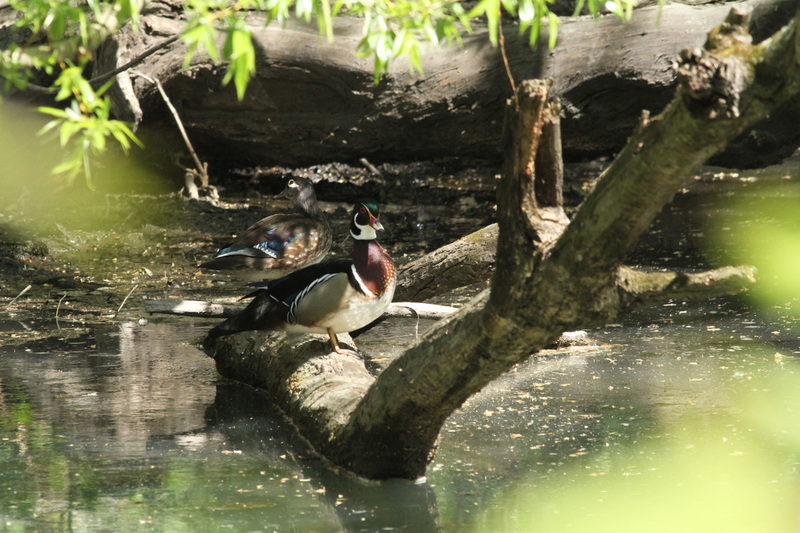 A pair of Wood Ducks nested in tree right above the Bronx River. 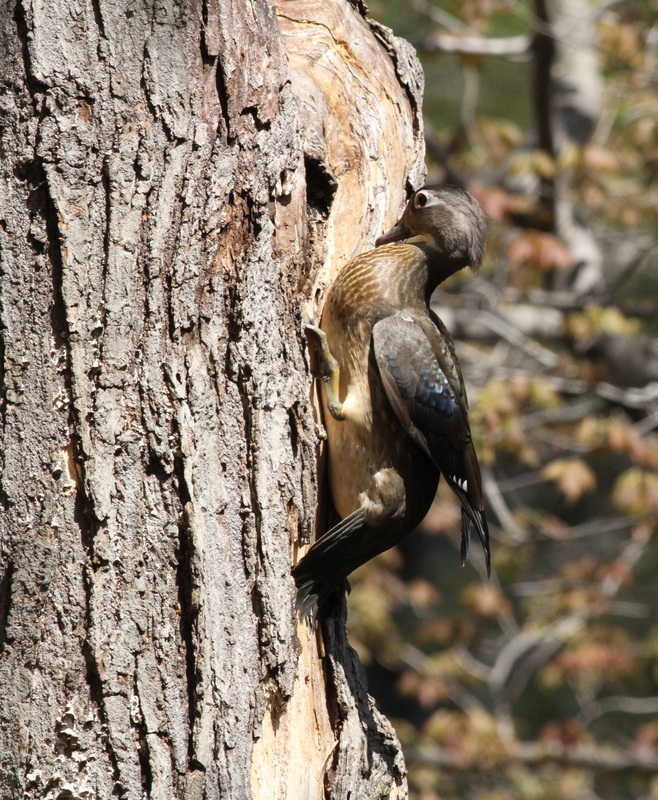 Unfortunately, no one was around when the babies fledged but we were lucky to get photos of mom tending the nest. 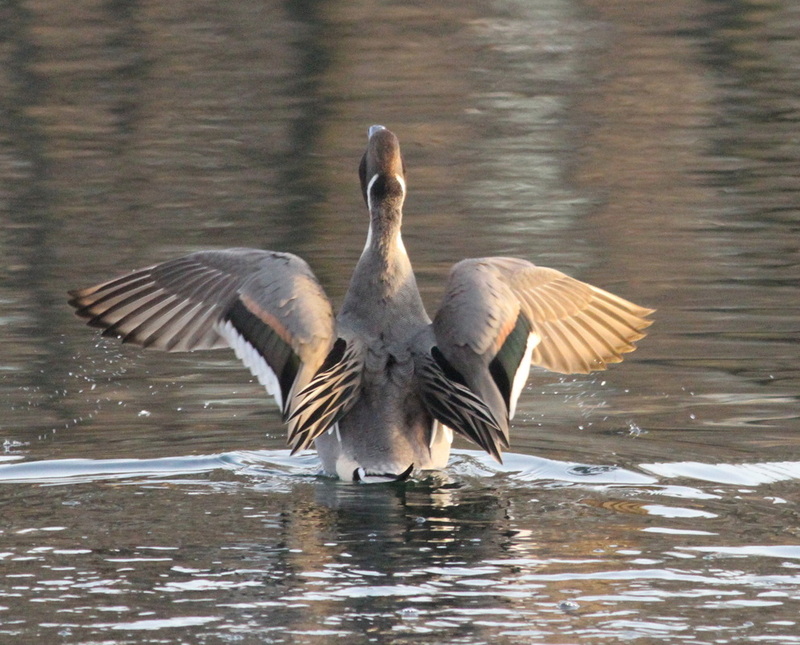 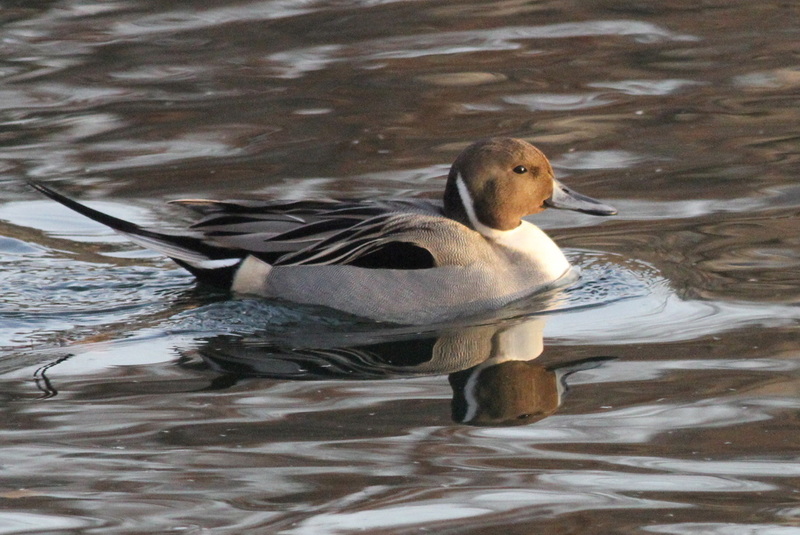 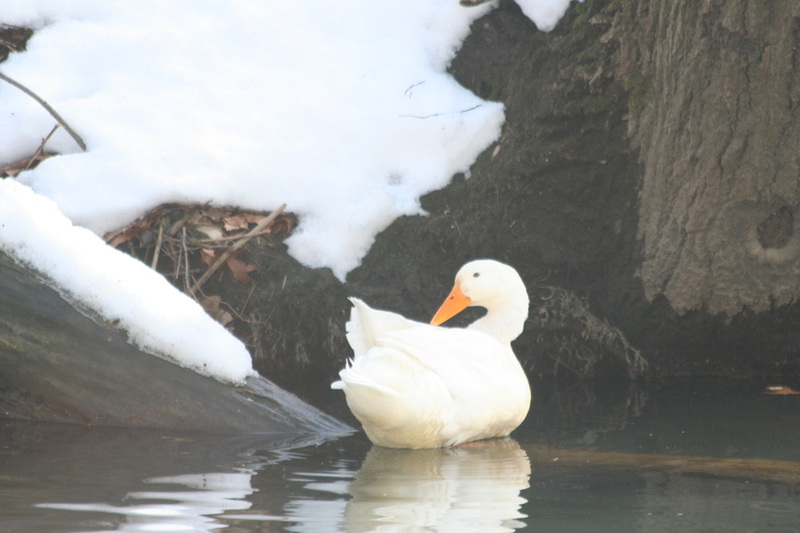 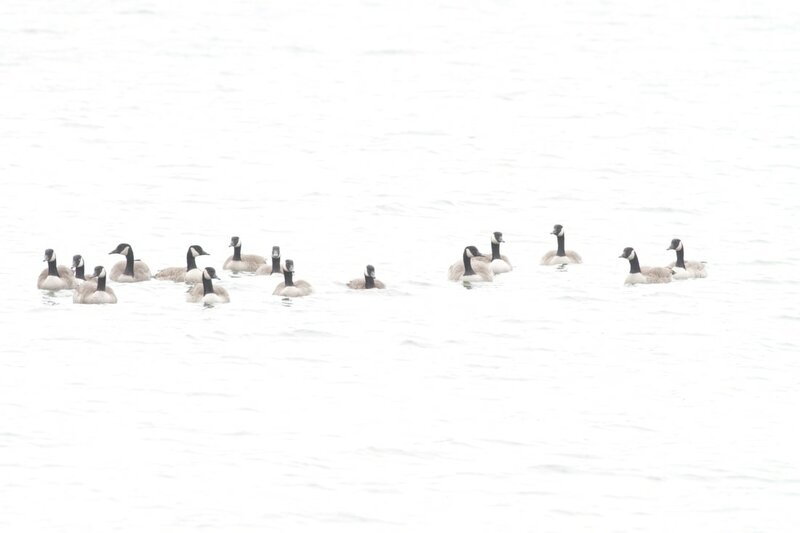 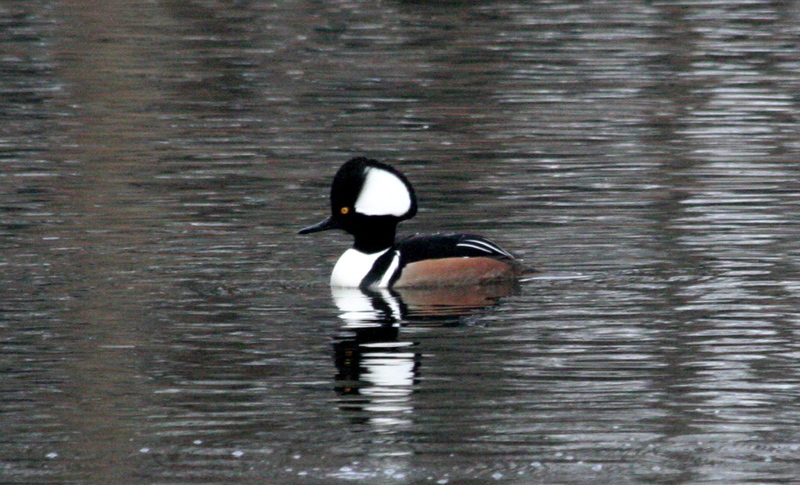 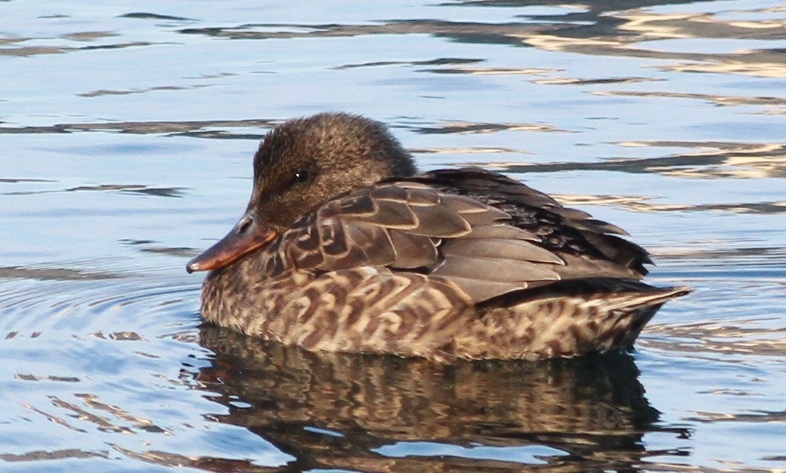 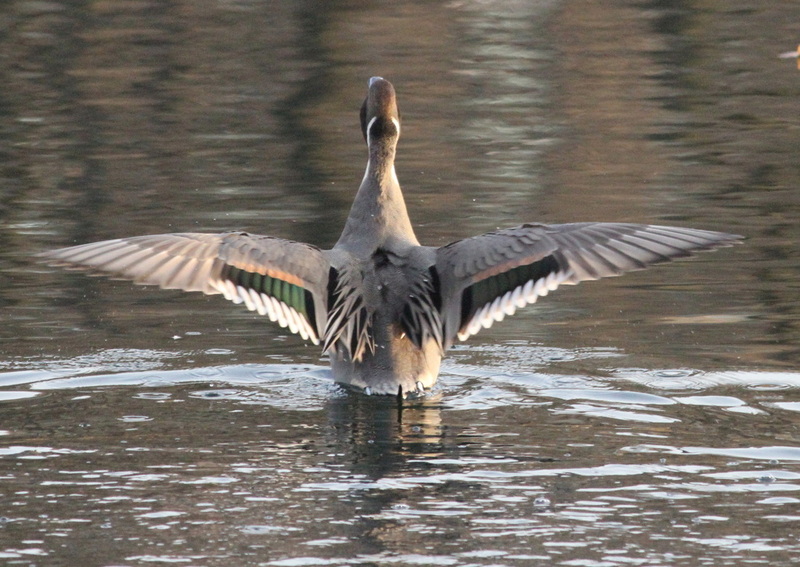 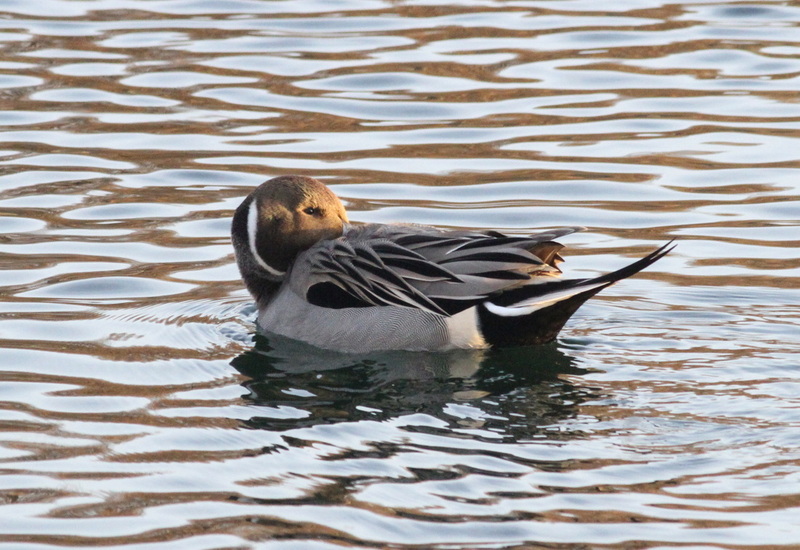 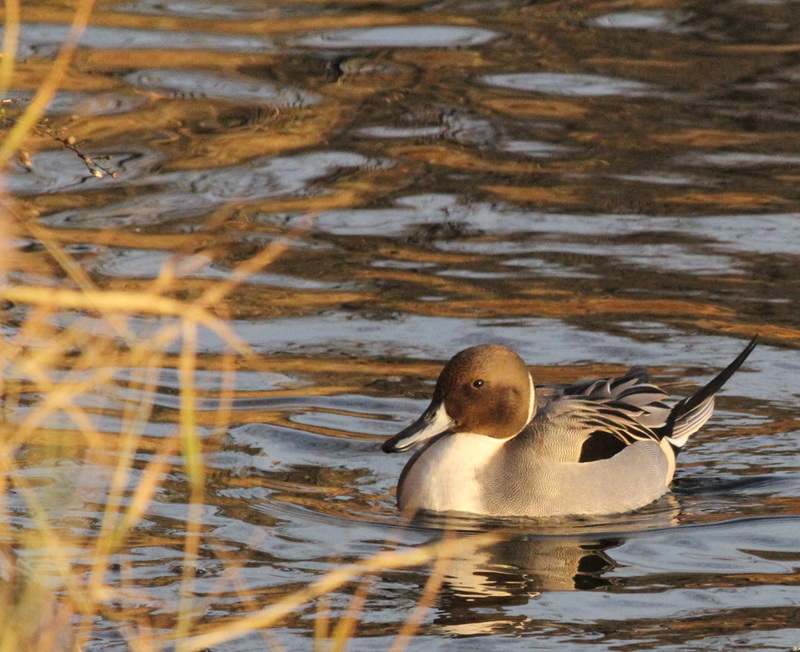 The best time to see ducks, in the New York City area, is winter. 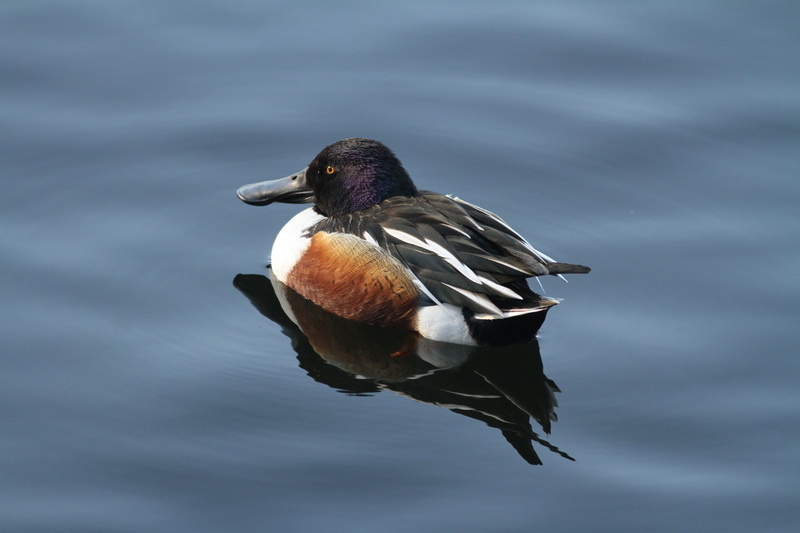 The best viewing sites are; The New York Botanical Garden, Central Park Reservoir, Pelham Bay Park, Rye Marshlands, Rye Playland,New Rochelle, The East River at 23rd Street, The Hudson River at the Boat Basin and local streams and rivers that are not frozen. 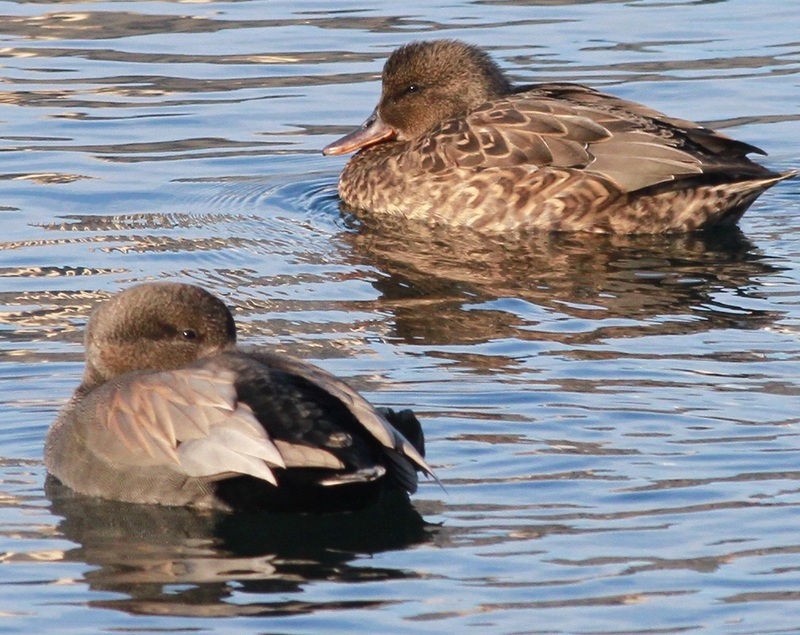 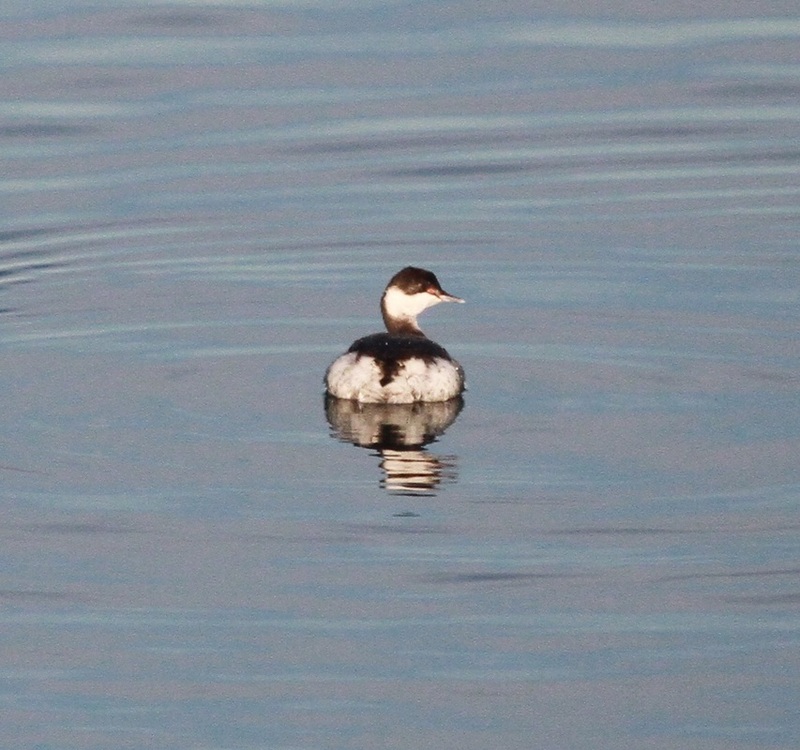 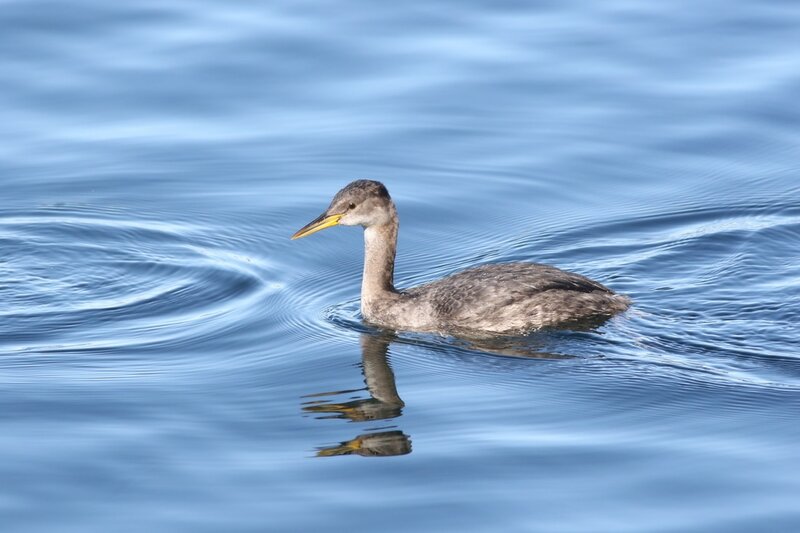 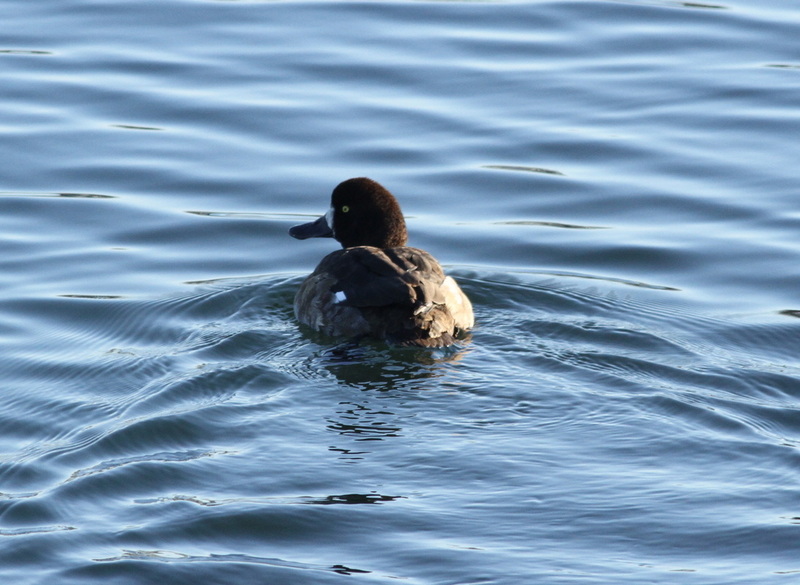 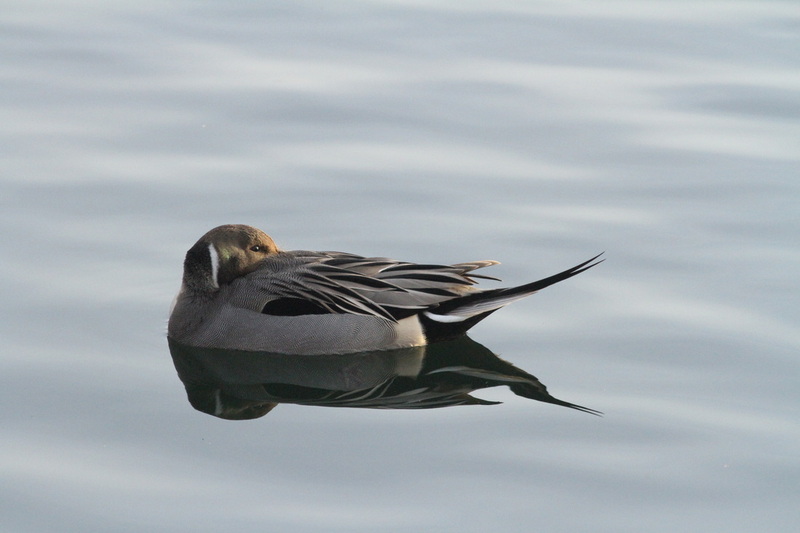 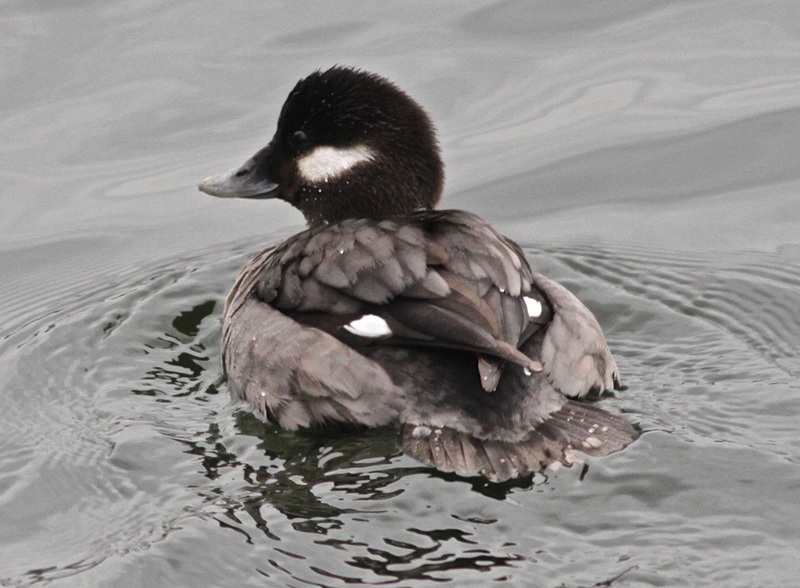 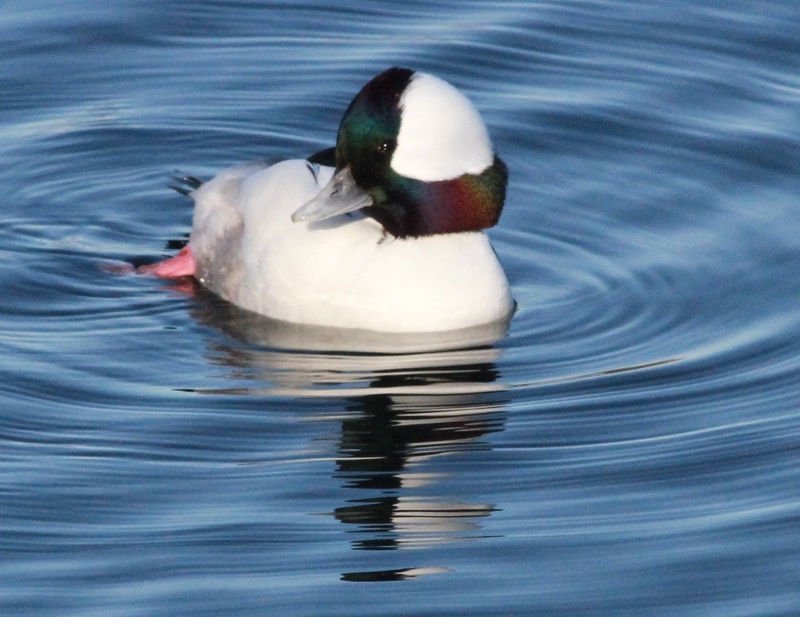 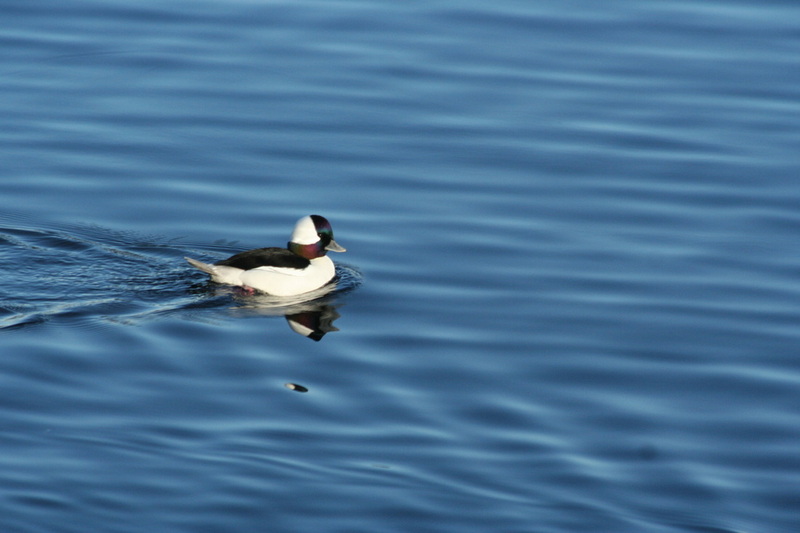 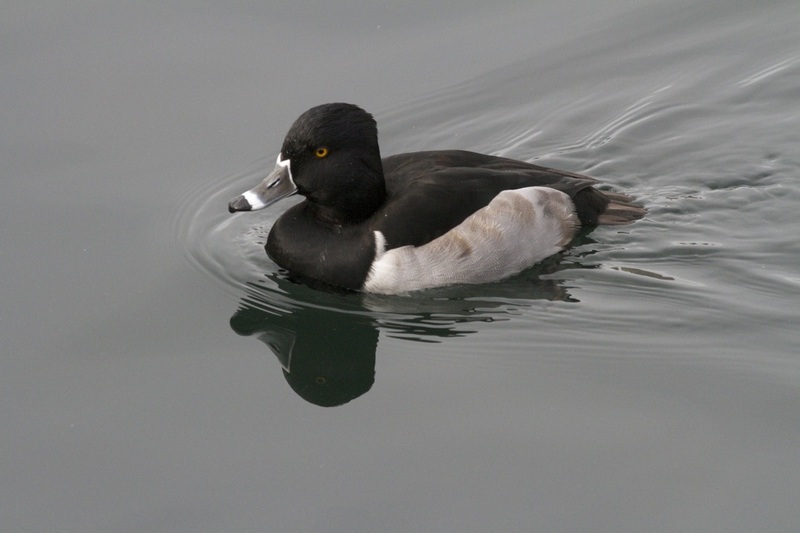 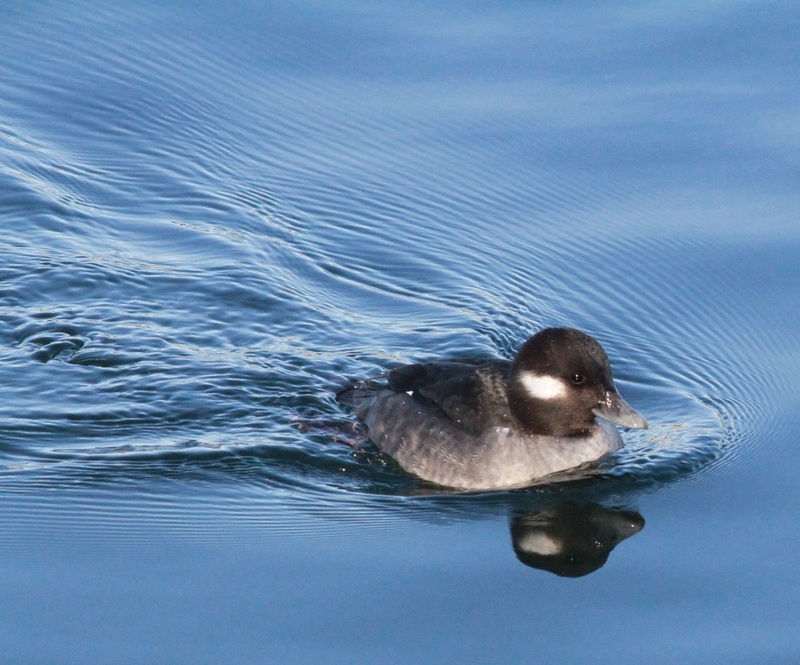 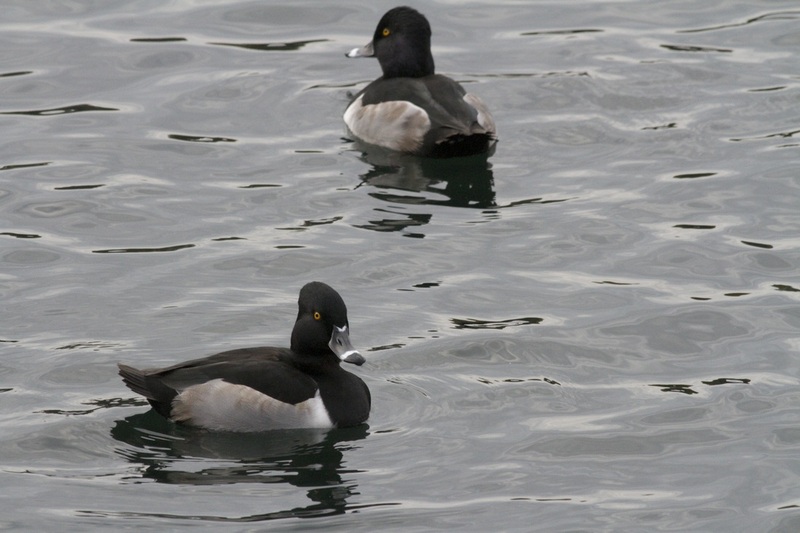 Like the colorful warblers of spring, winter ducks are brightly feathered and bring color to the blue water and gray winter days. 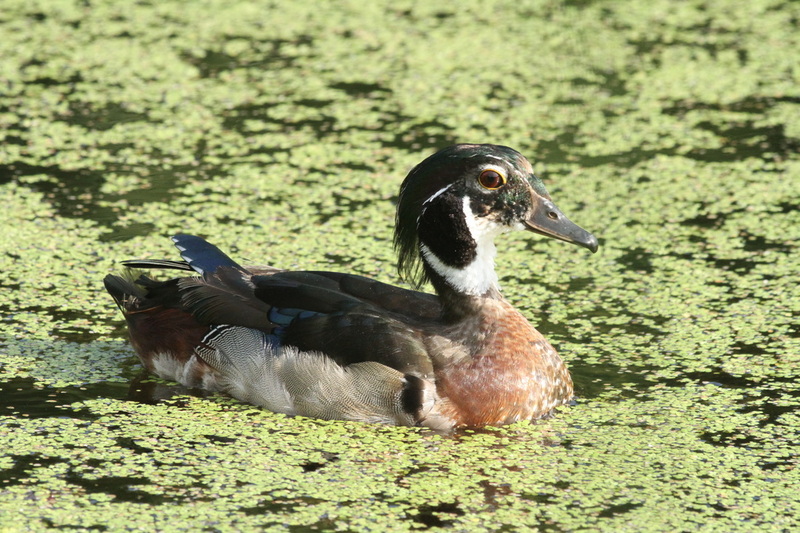 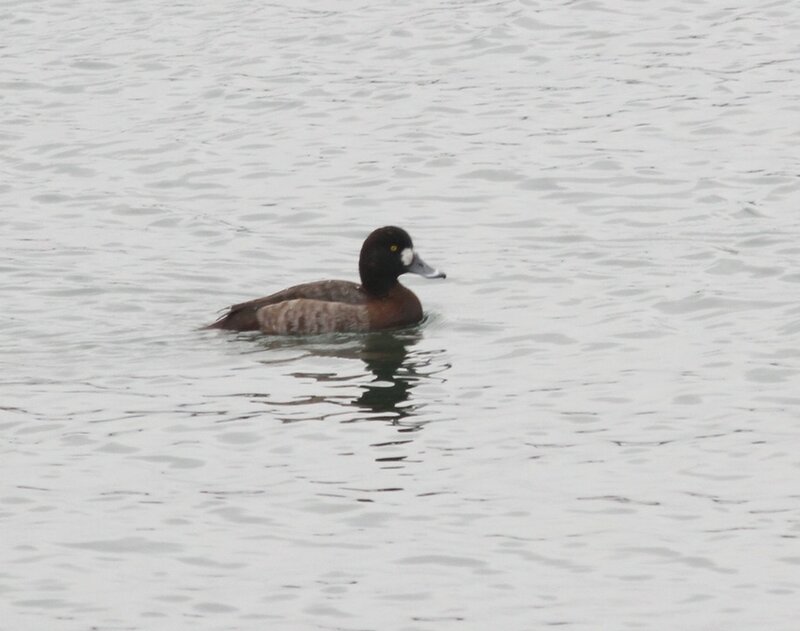 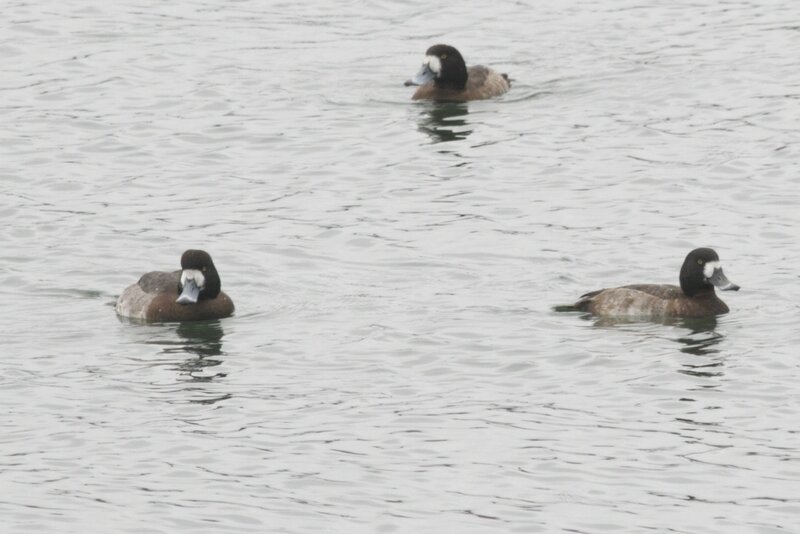 A rather sad looking Wood Duck, in "eclipse" which basically means losing his primary flying feathers. 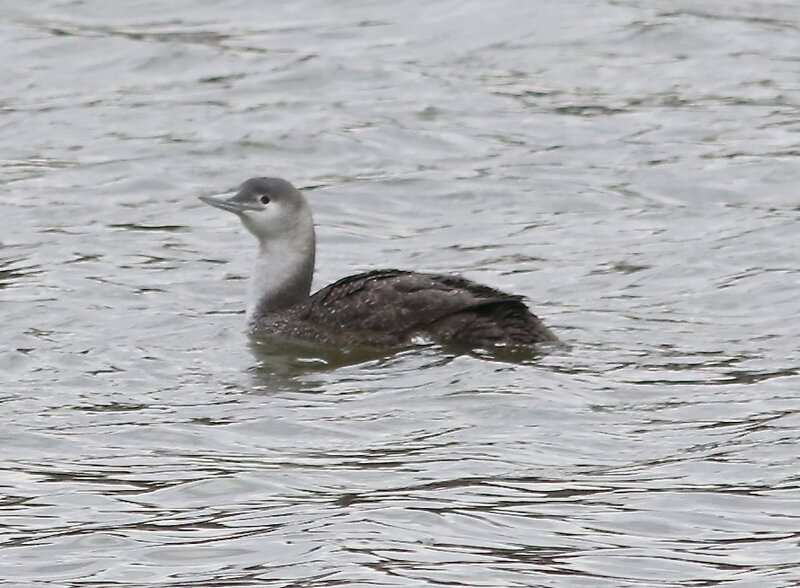 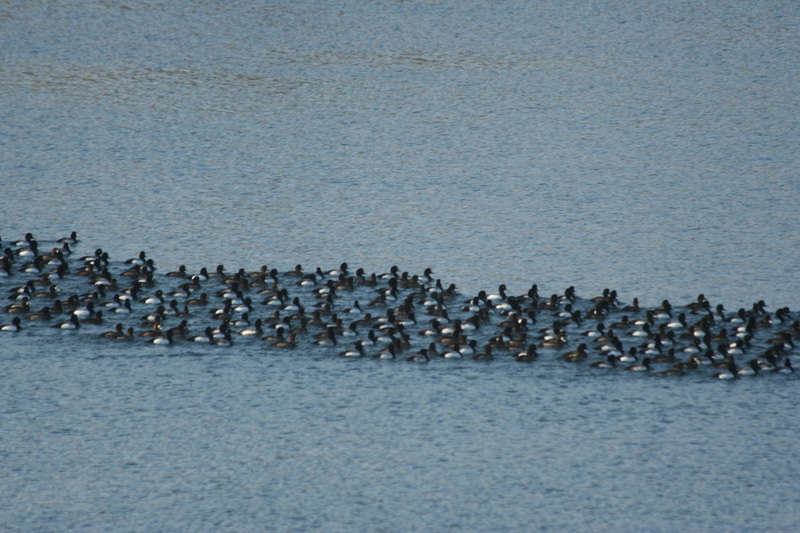 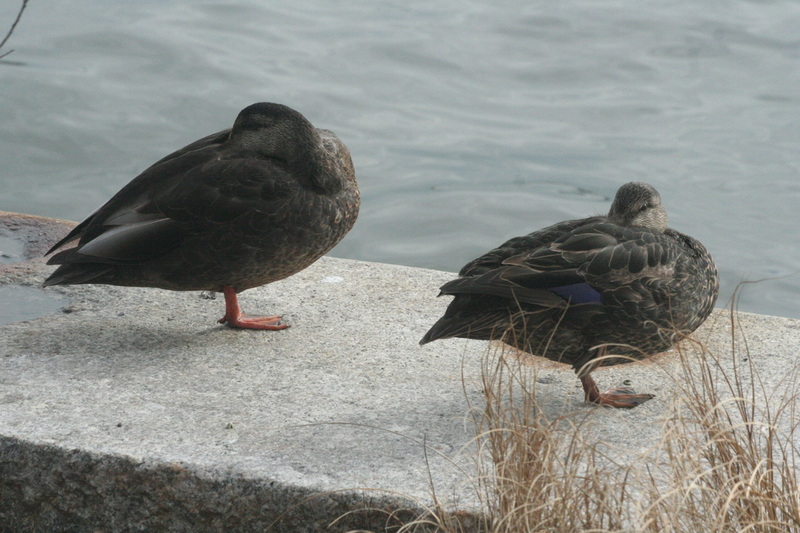 This may be where the expression "Sitting Duck" came from, because for almost two months ducks in eclipse cannot fly. 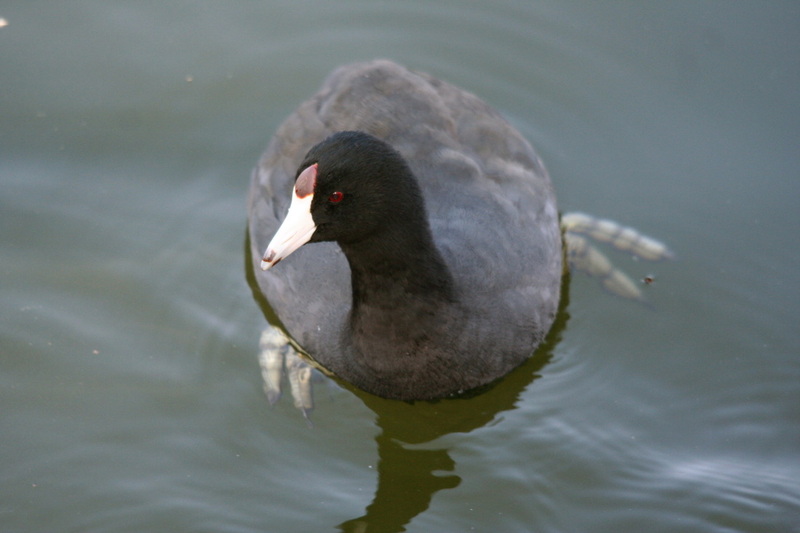 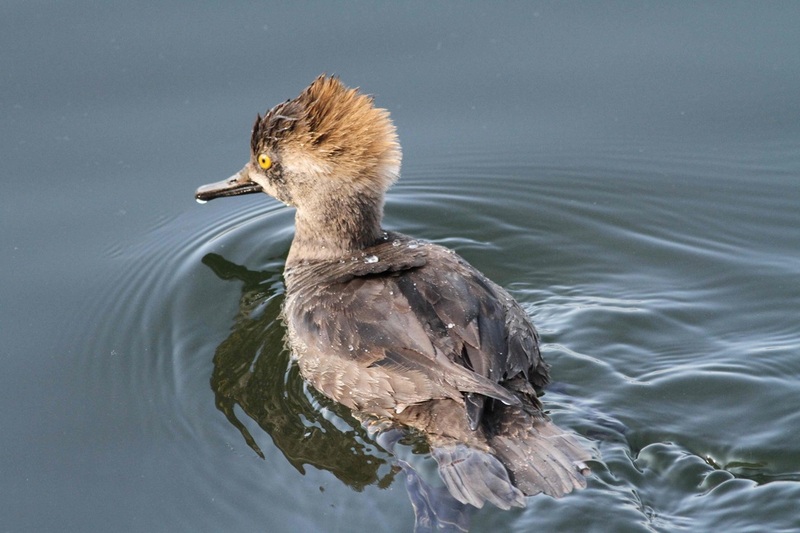 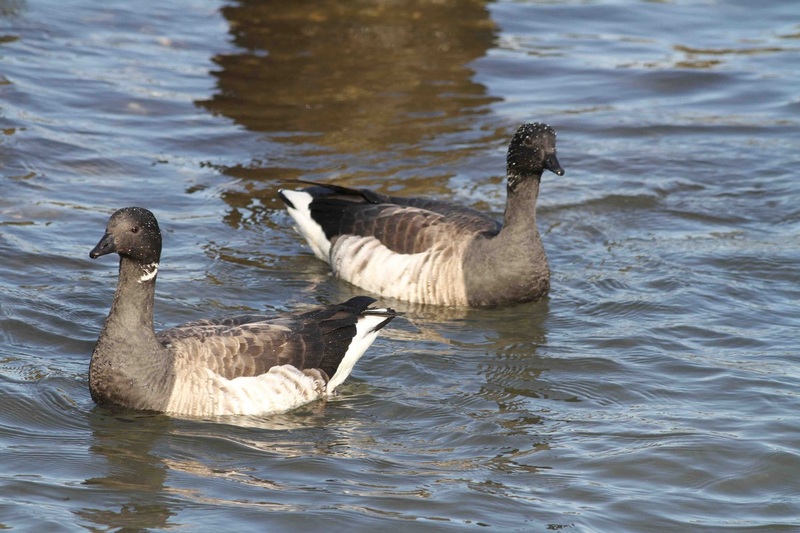 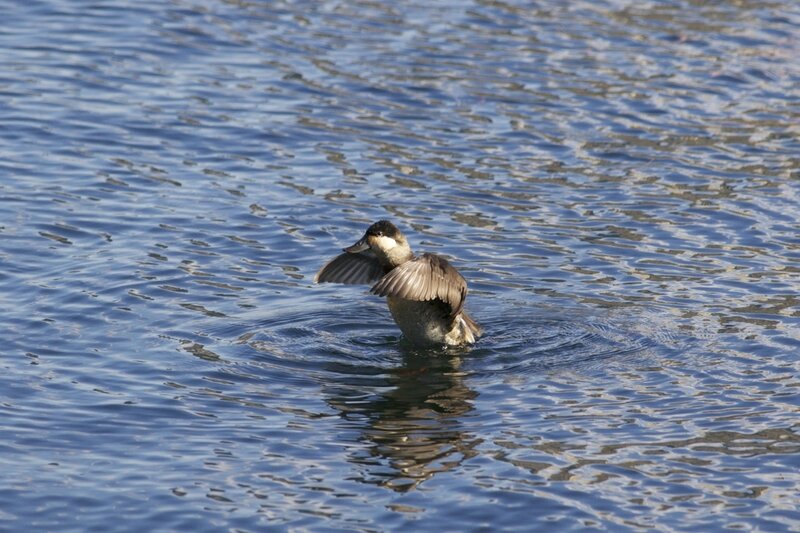 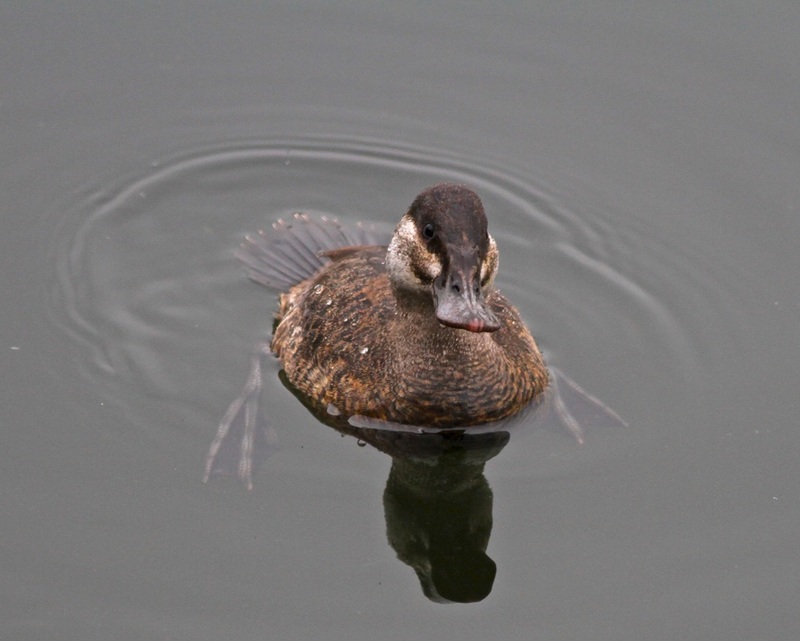 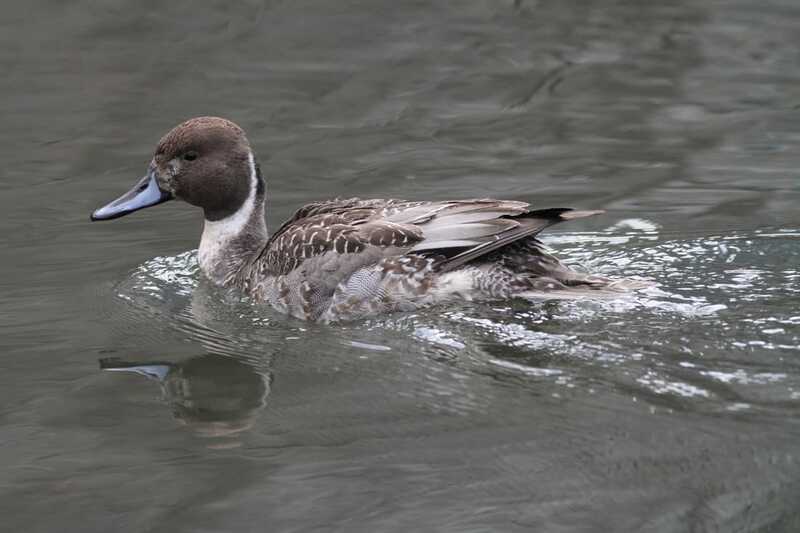 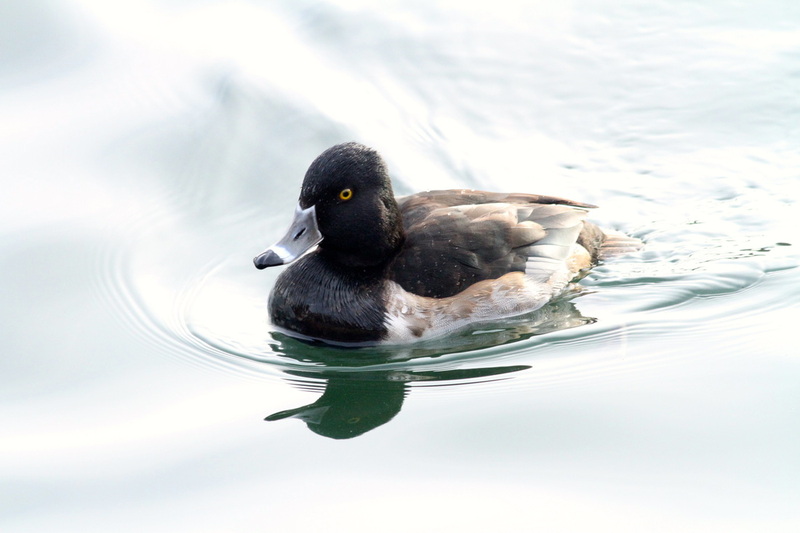 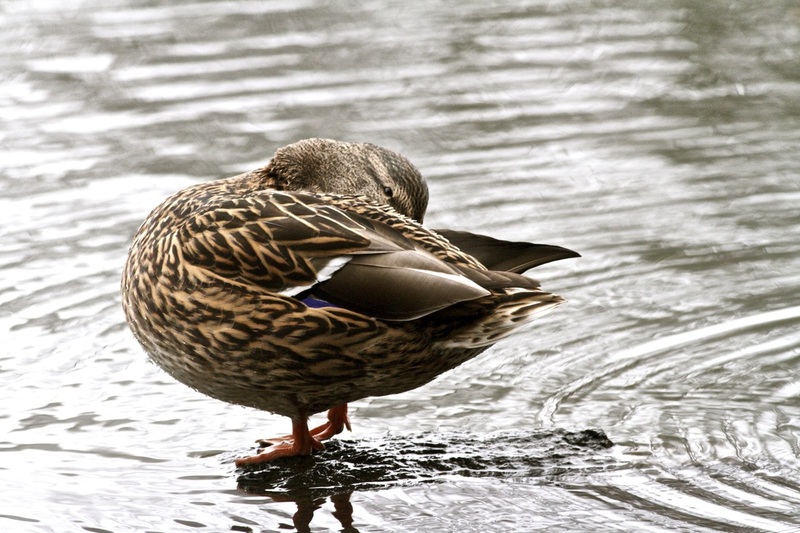 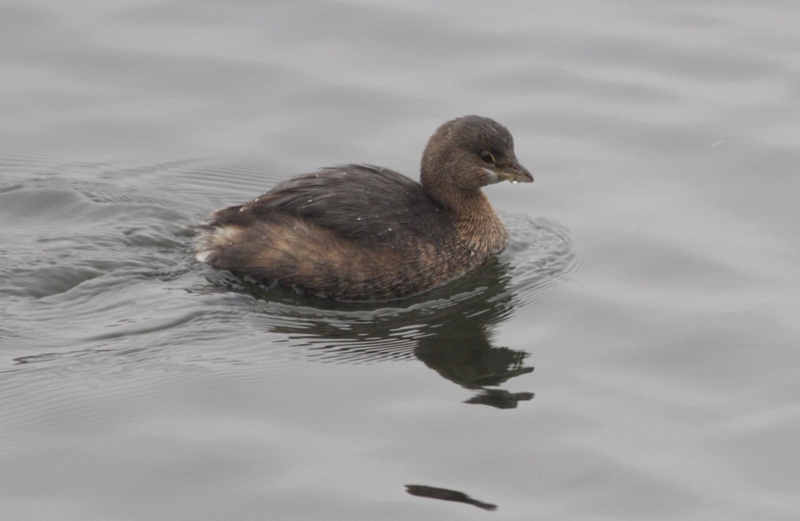 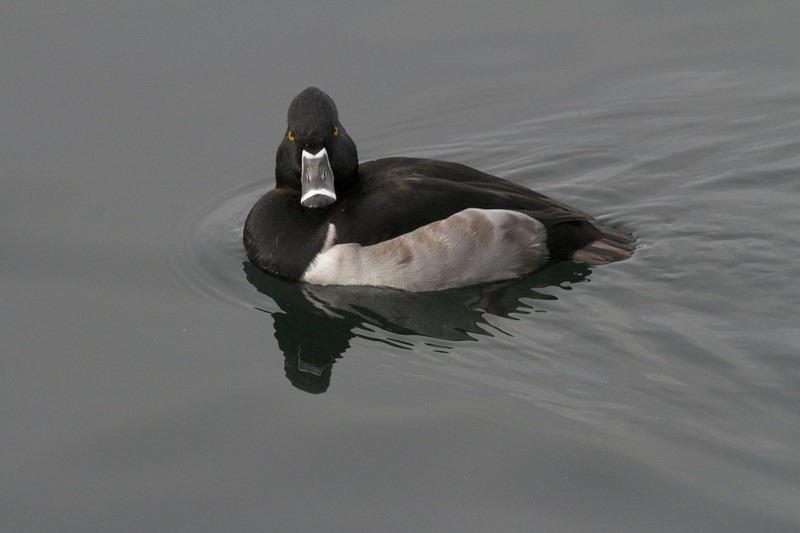 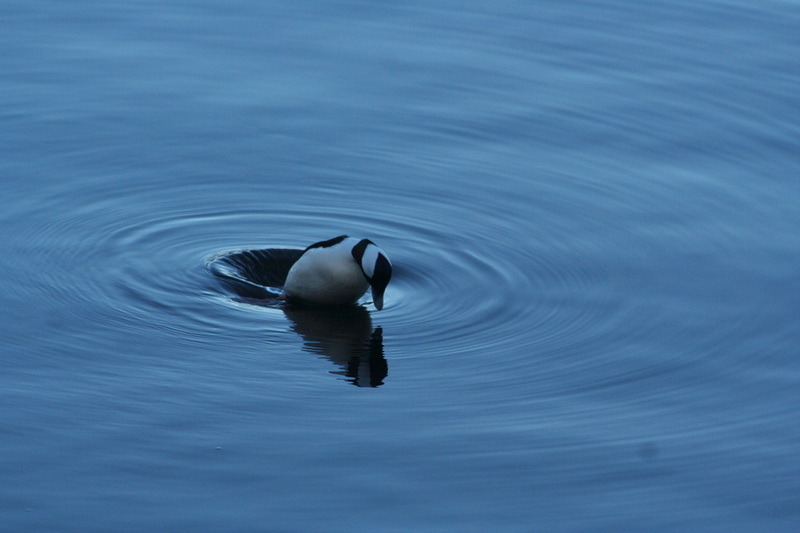 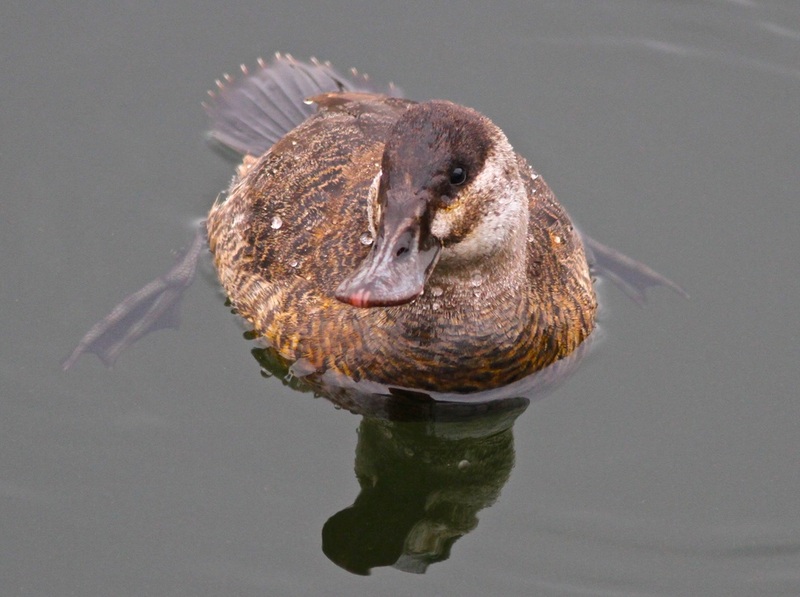 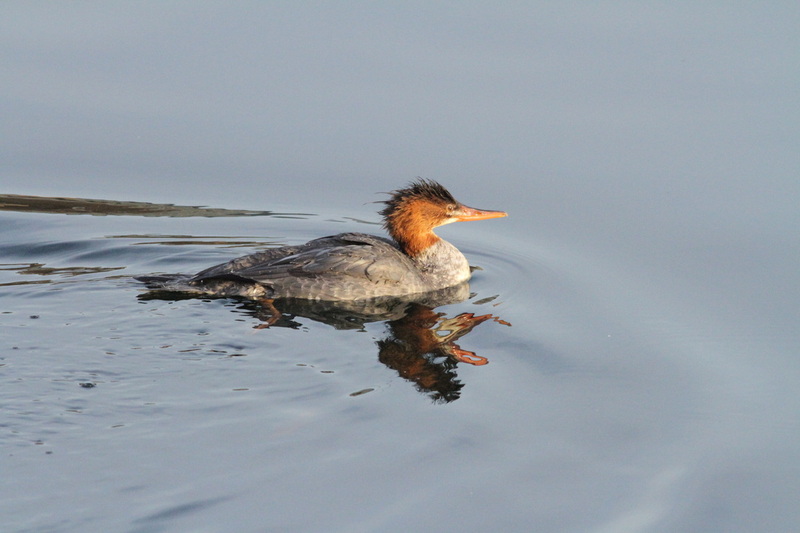 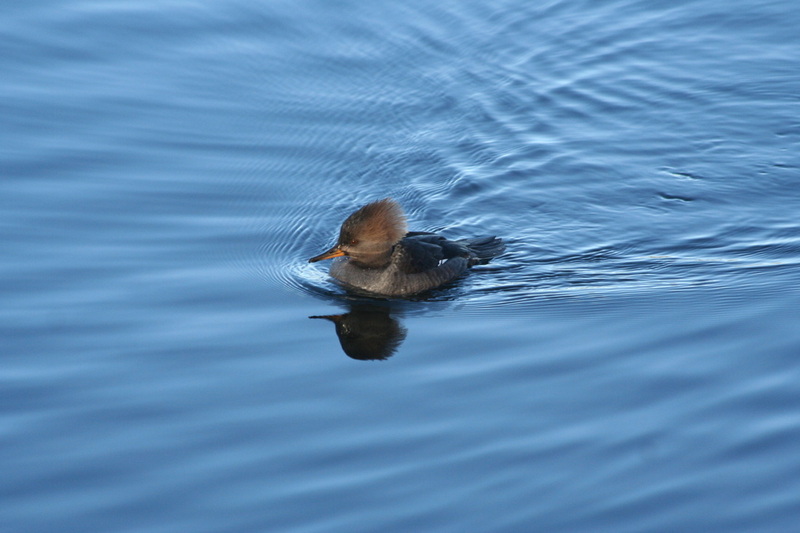 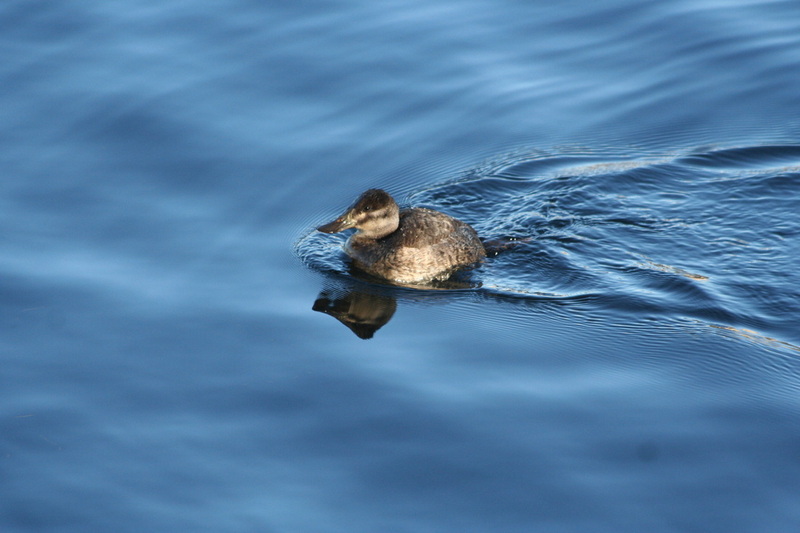 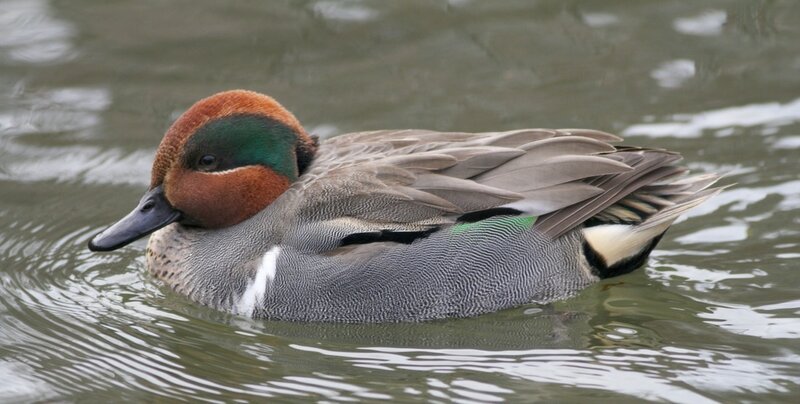 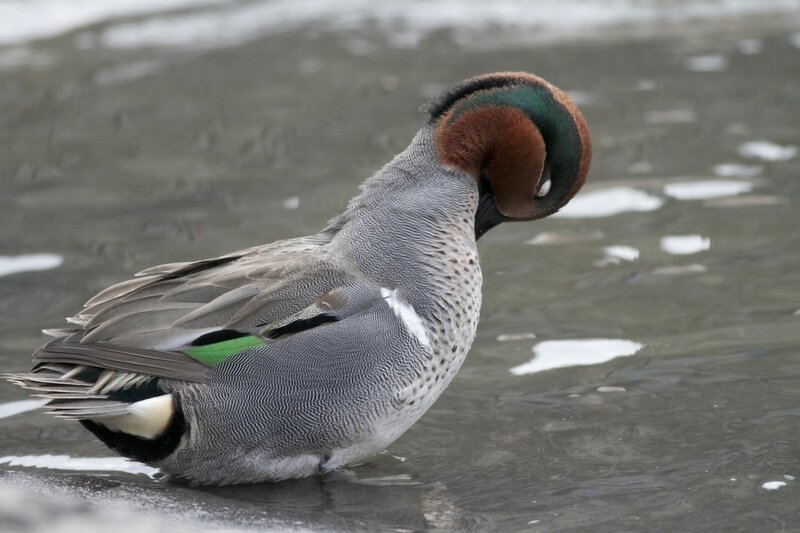 Ducks and water fowl are found on rivers, lakes, streams, bays, oceans, seas, and basically any body of water. 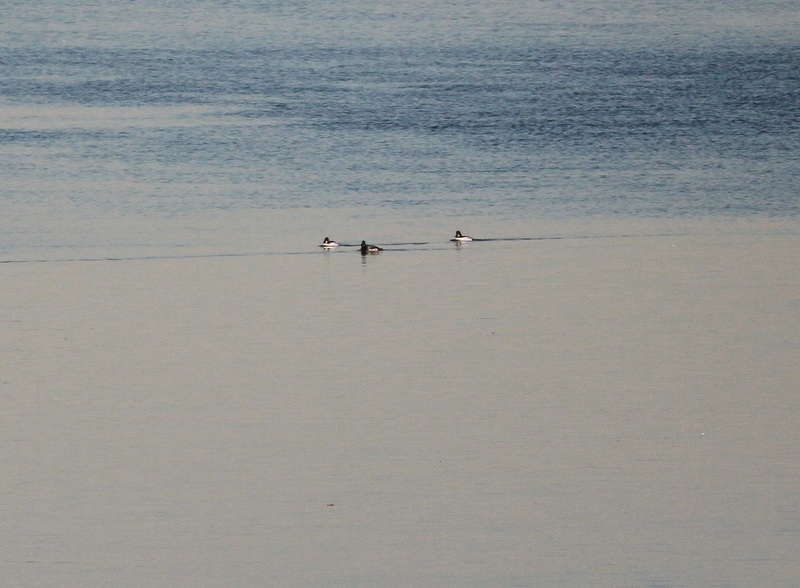 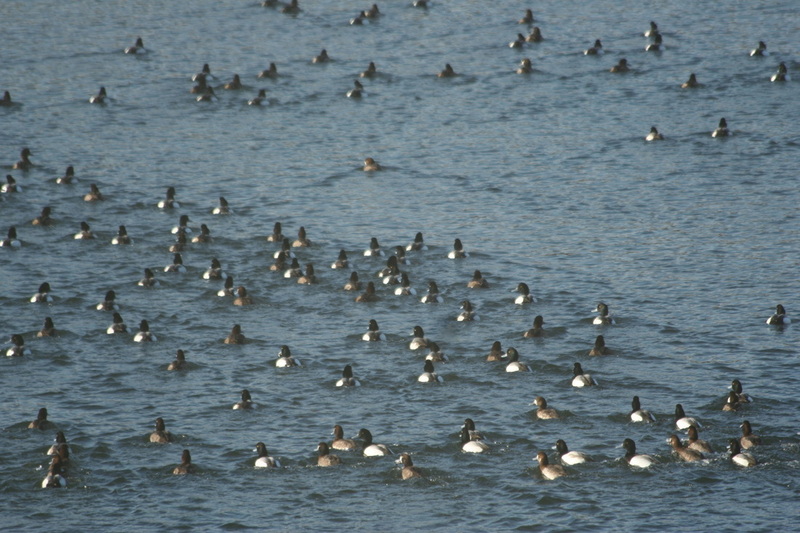 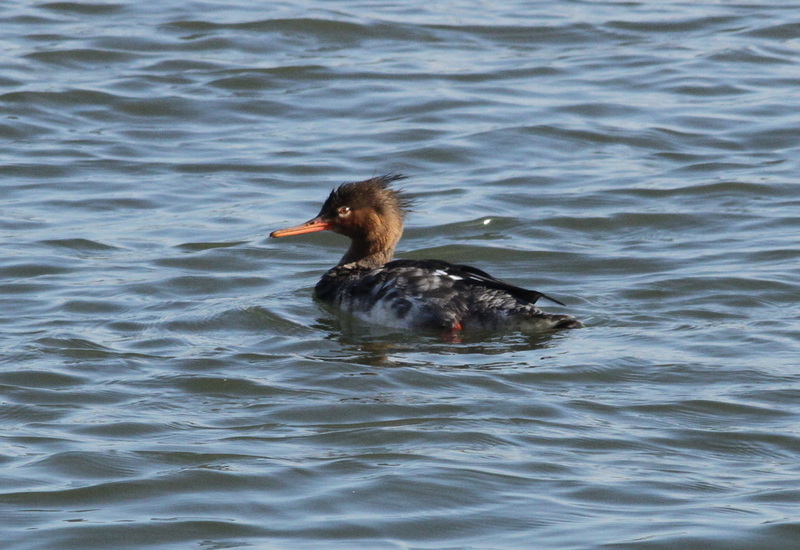 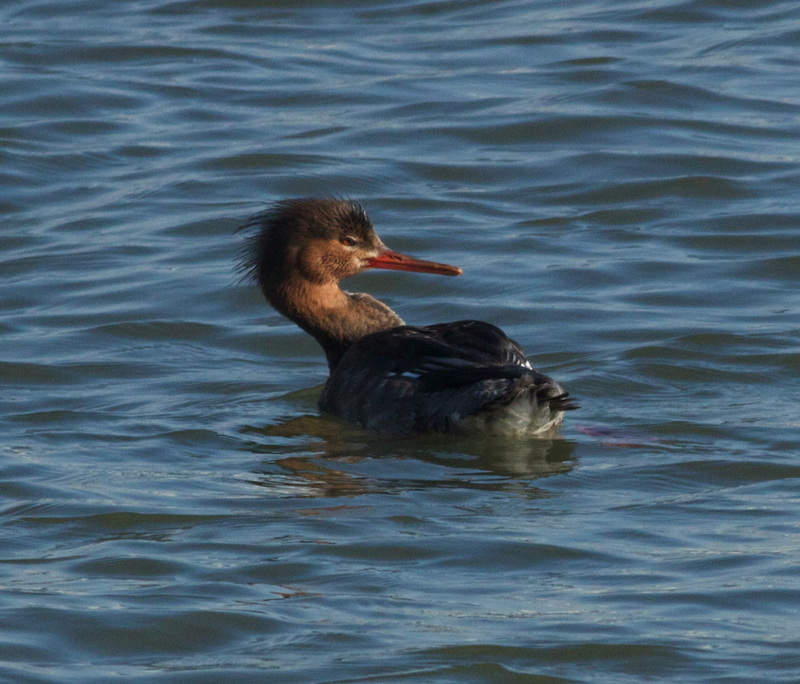 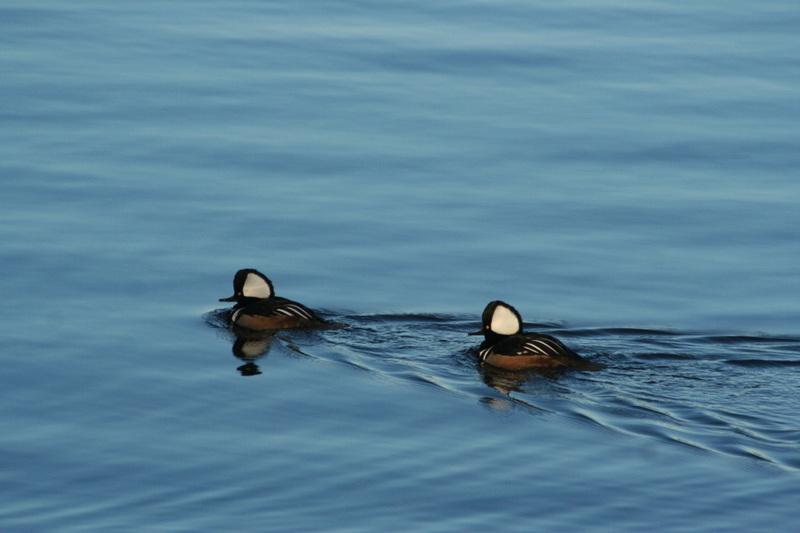 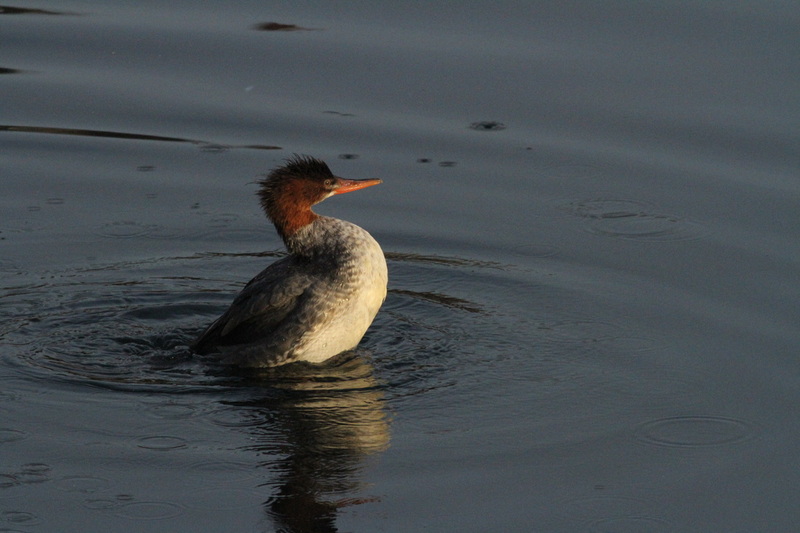 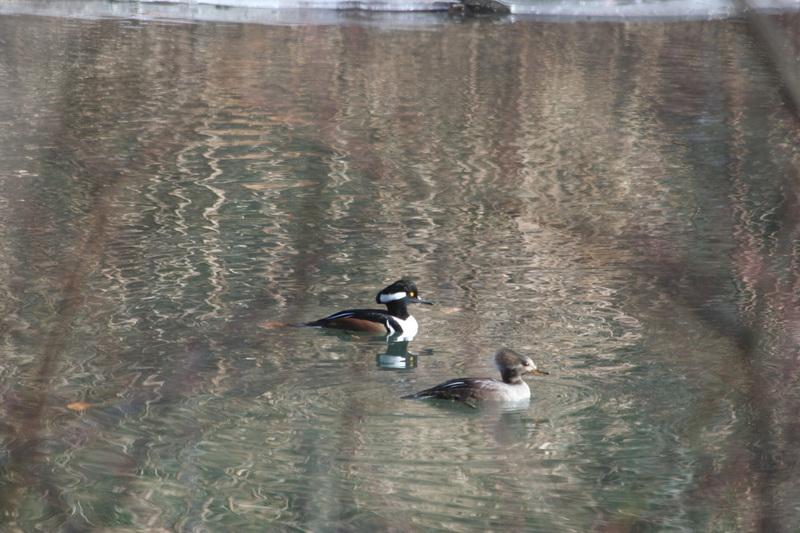 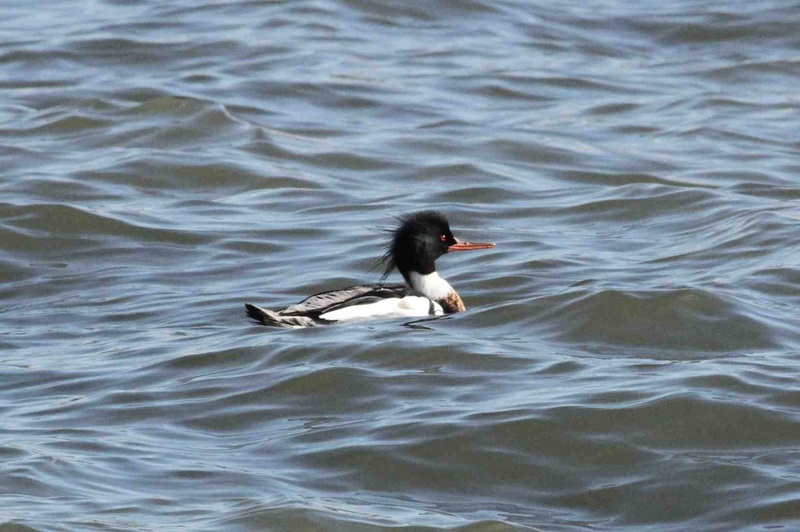 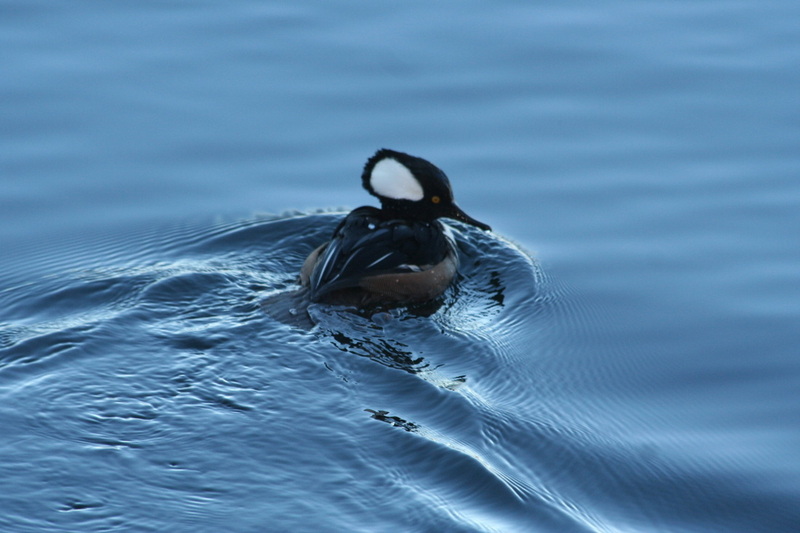 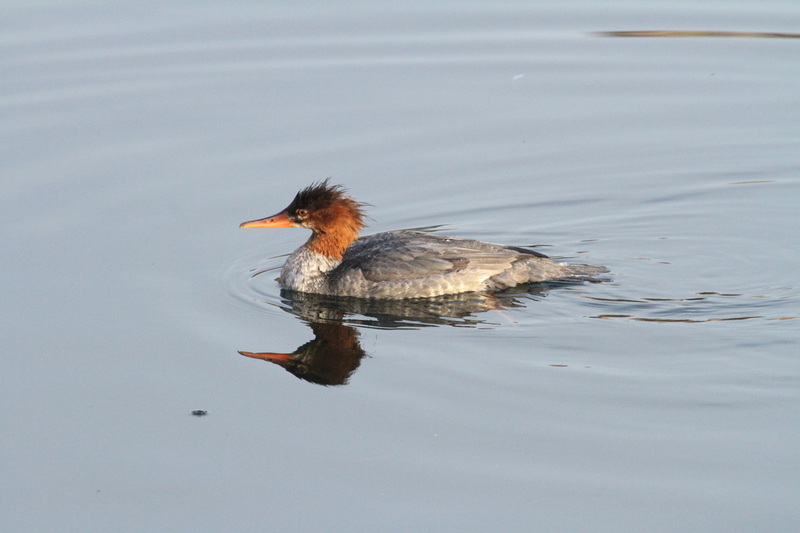 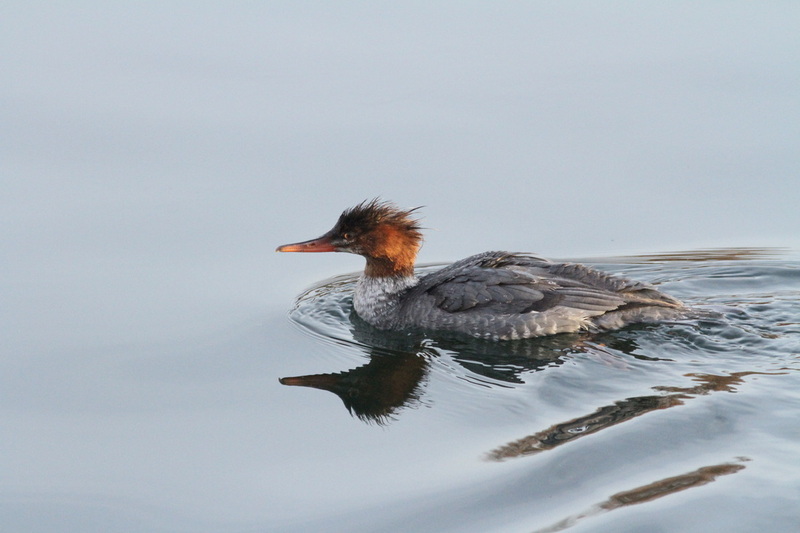 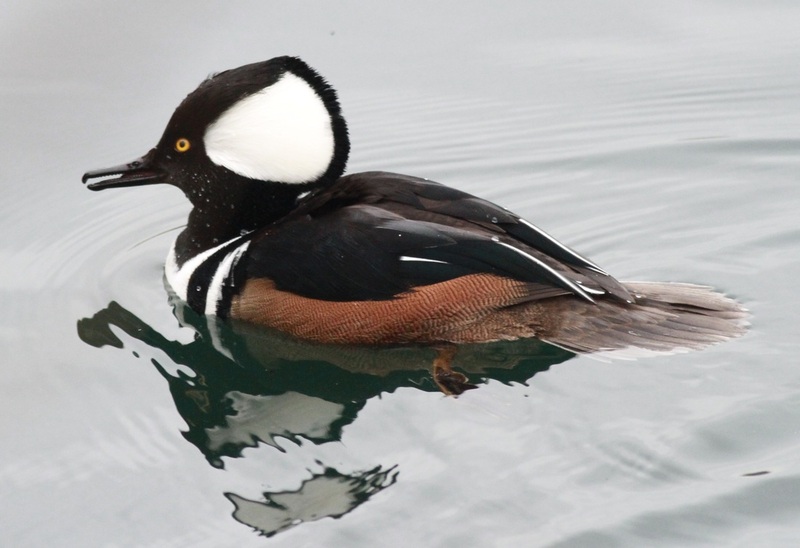 A pair of Mallards can swim in a large puddle, while a Red breasted Merganser needs an ocean of waves to hunt for food. 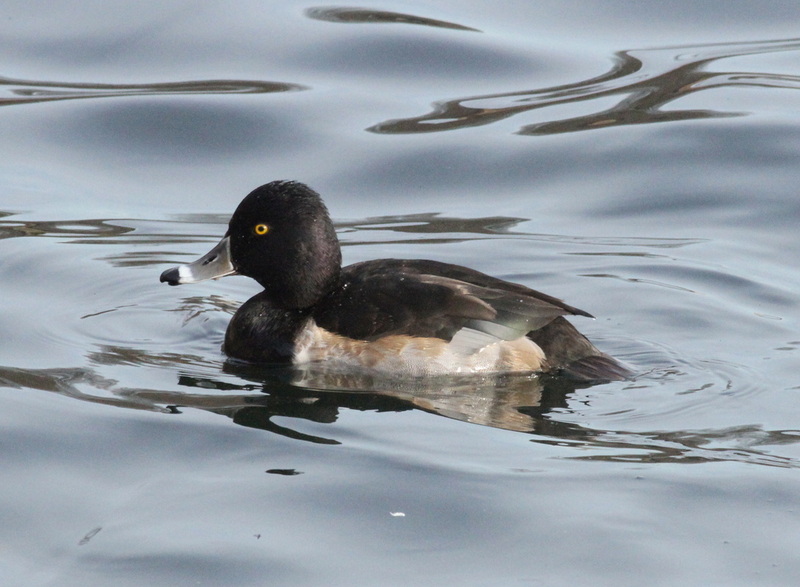 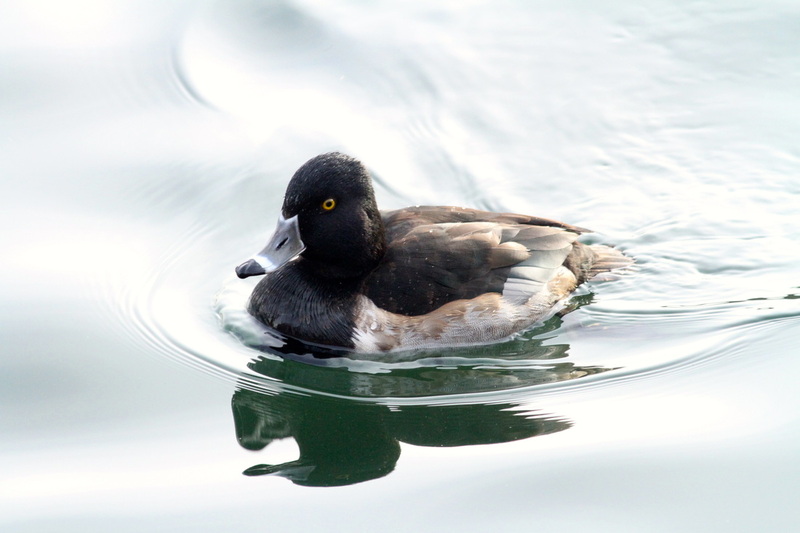 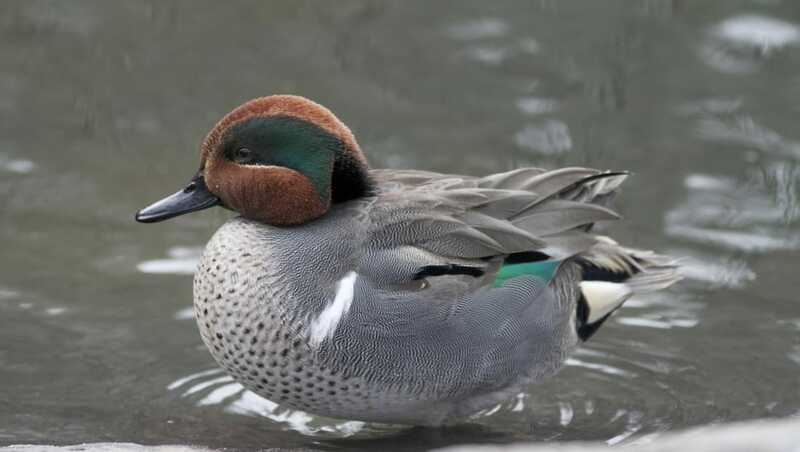 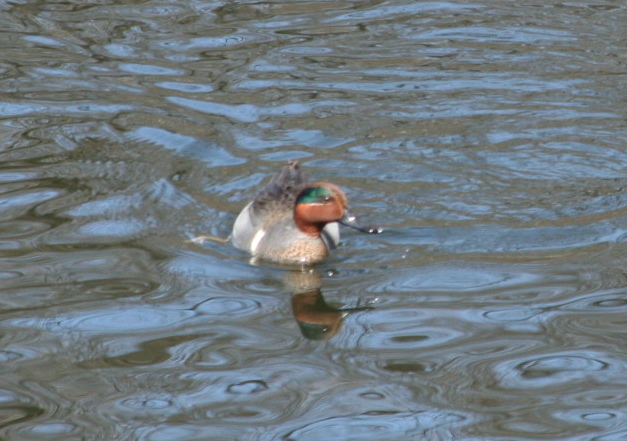 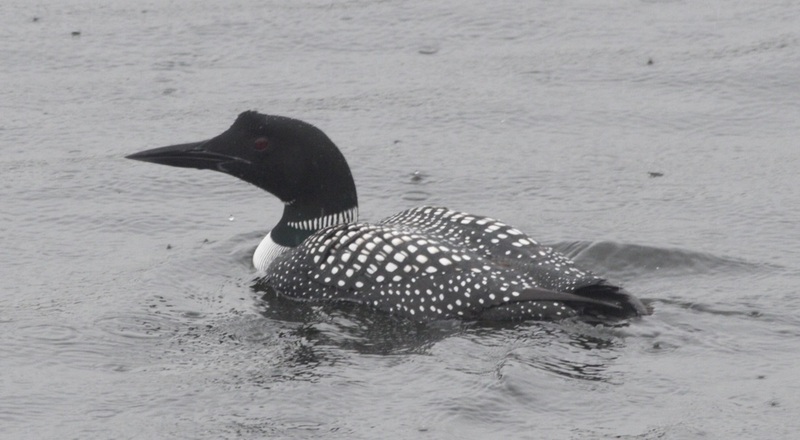 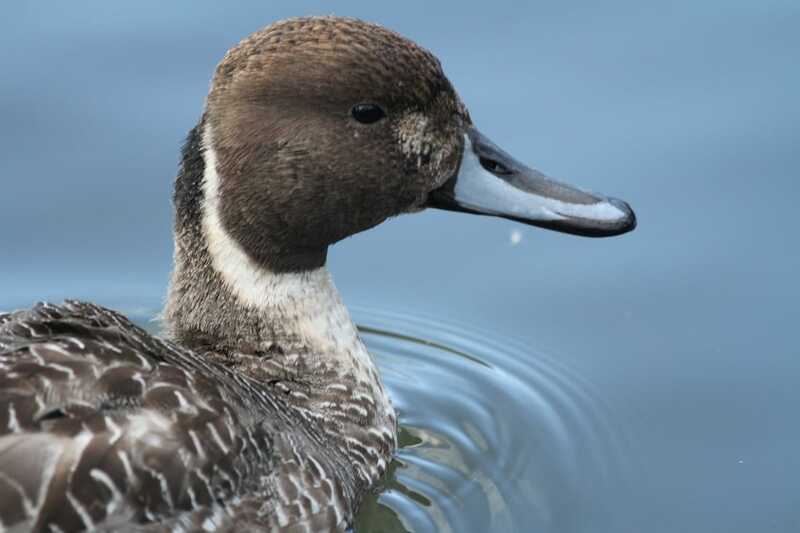 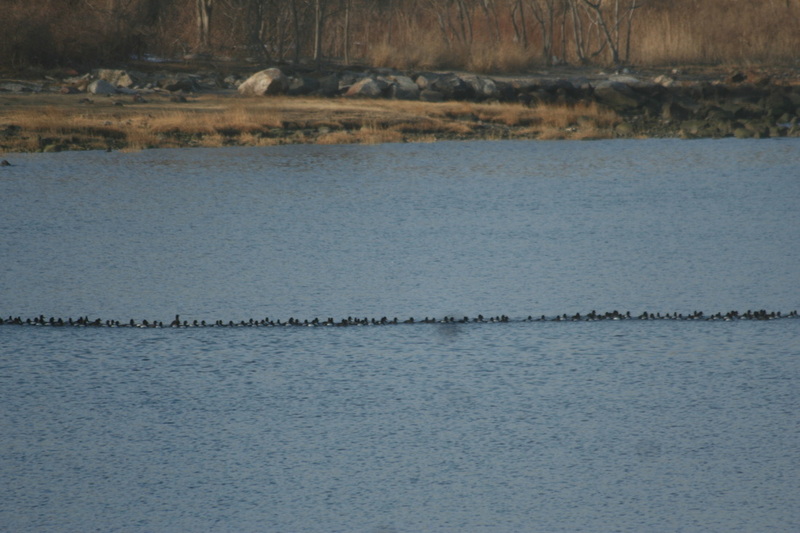 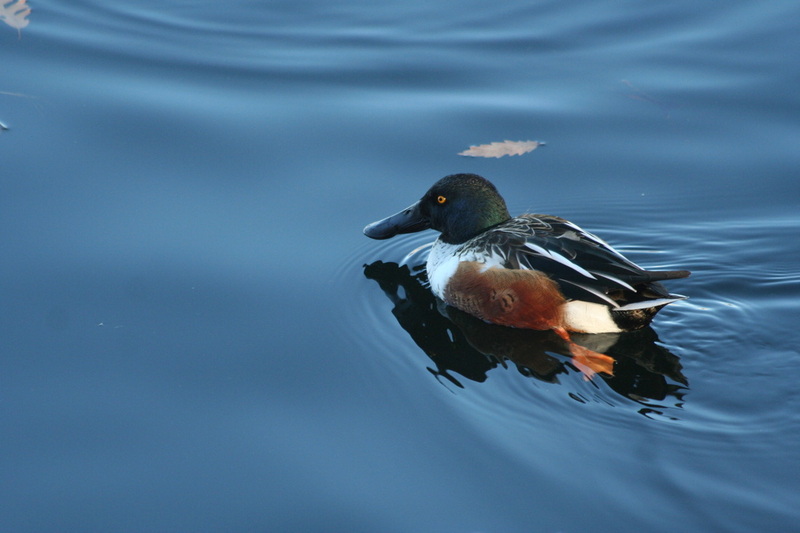 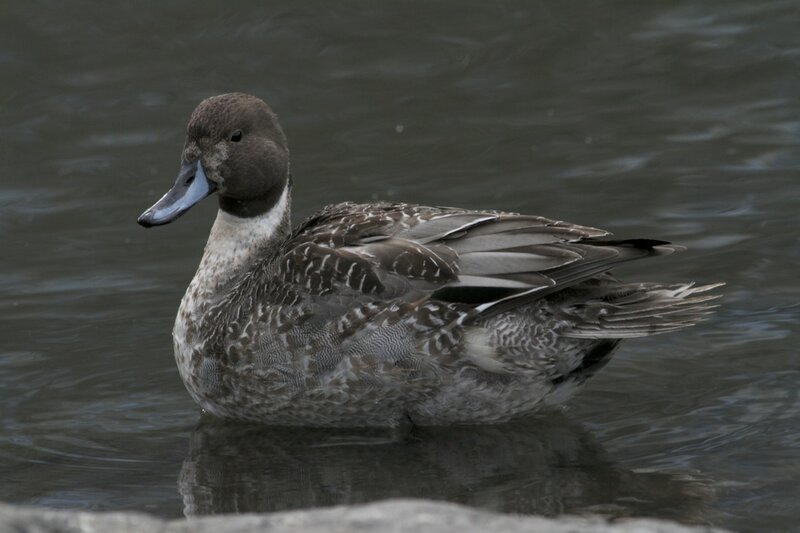 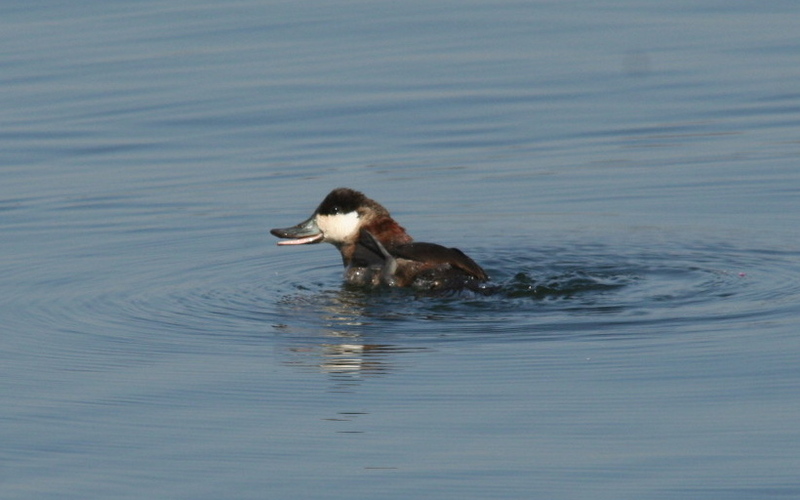 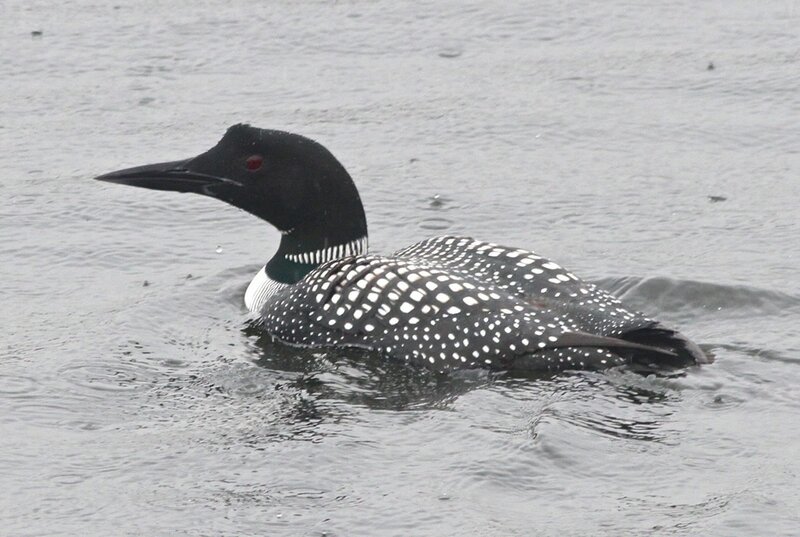 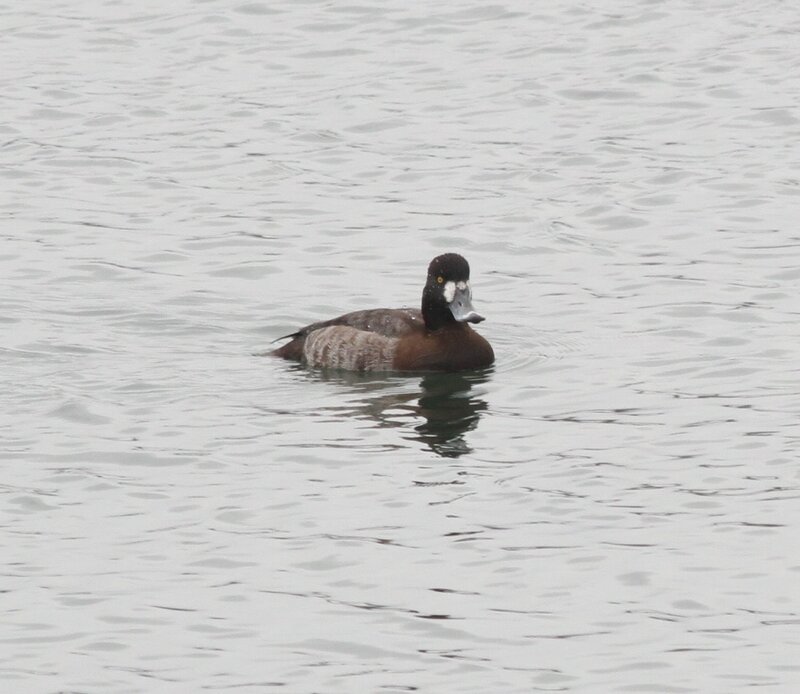 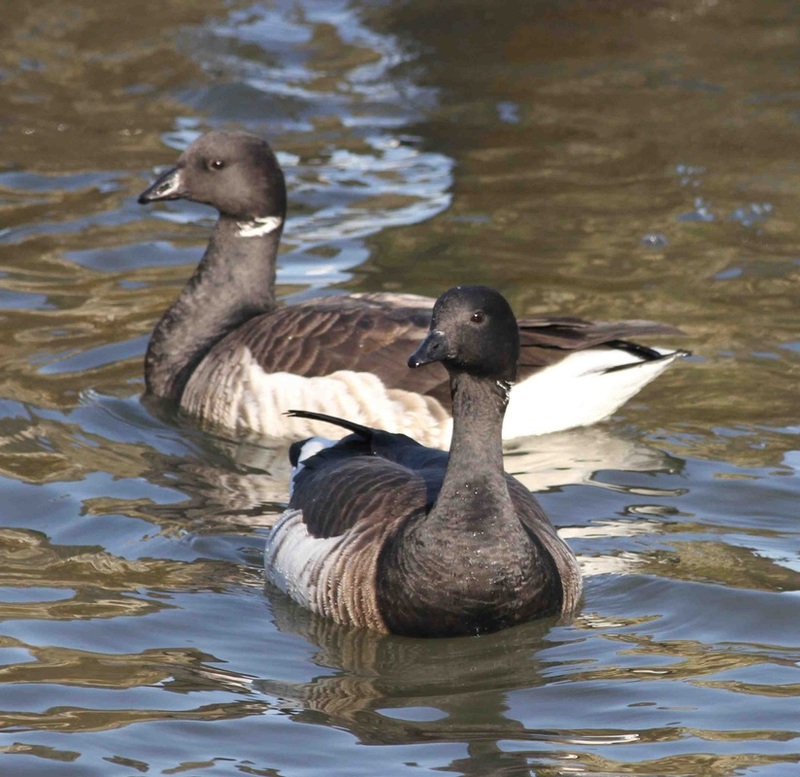 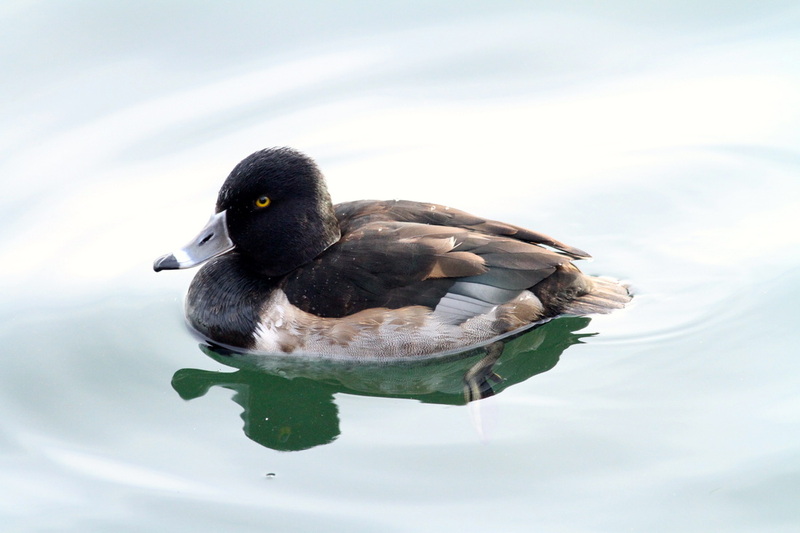 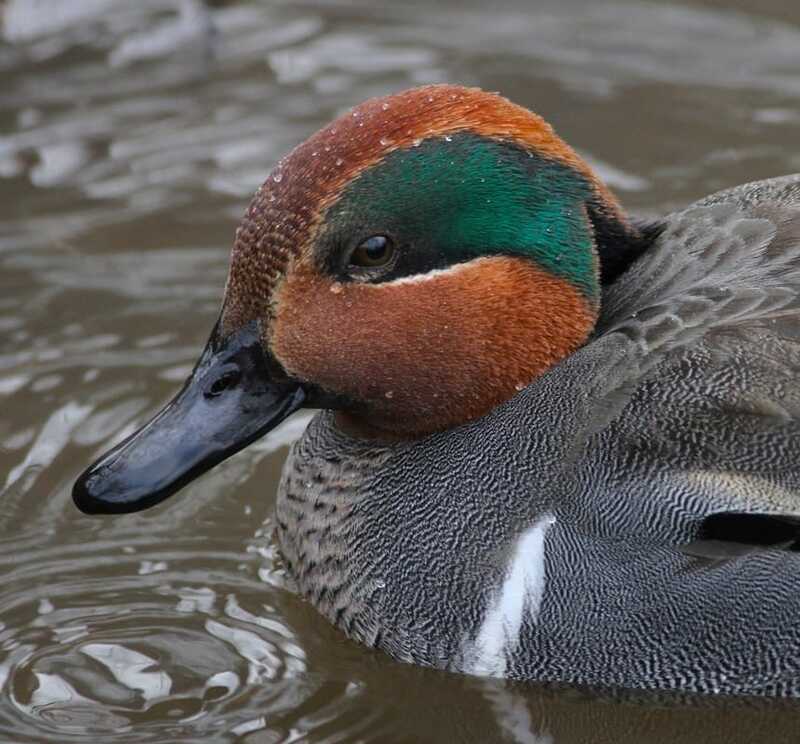 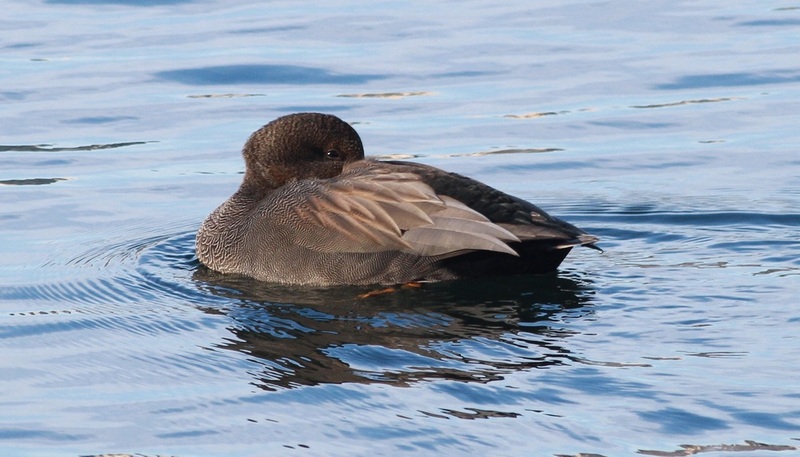 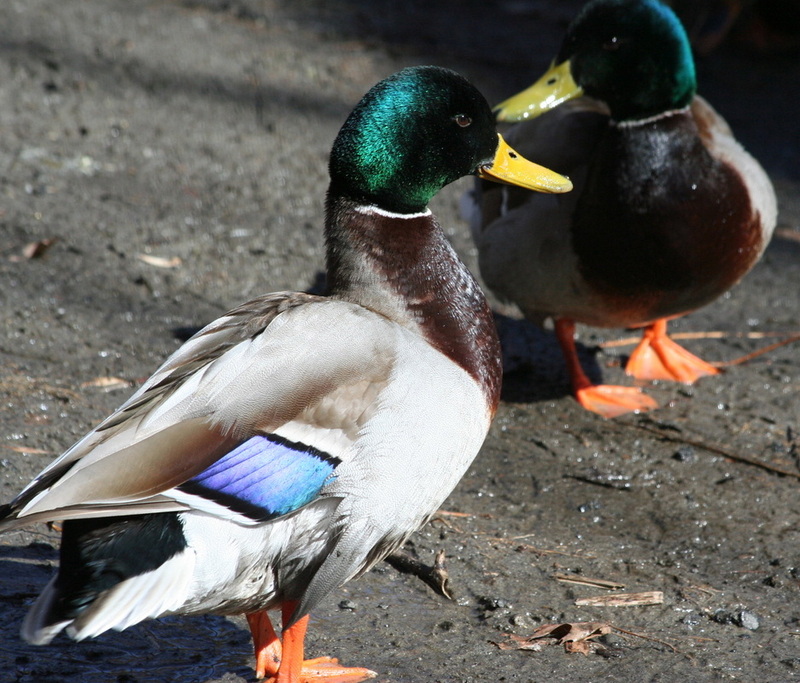 In the New York City area the best time to observe ducks are during the months of October-April. 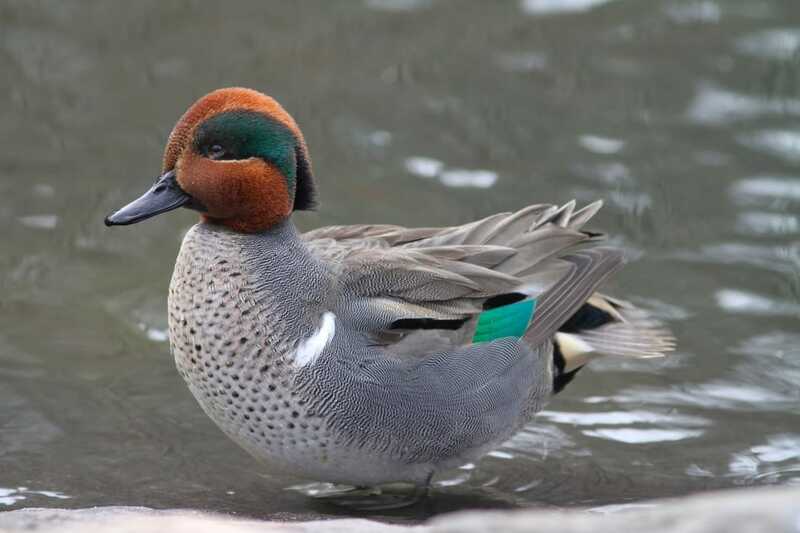 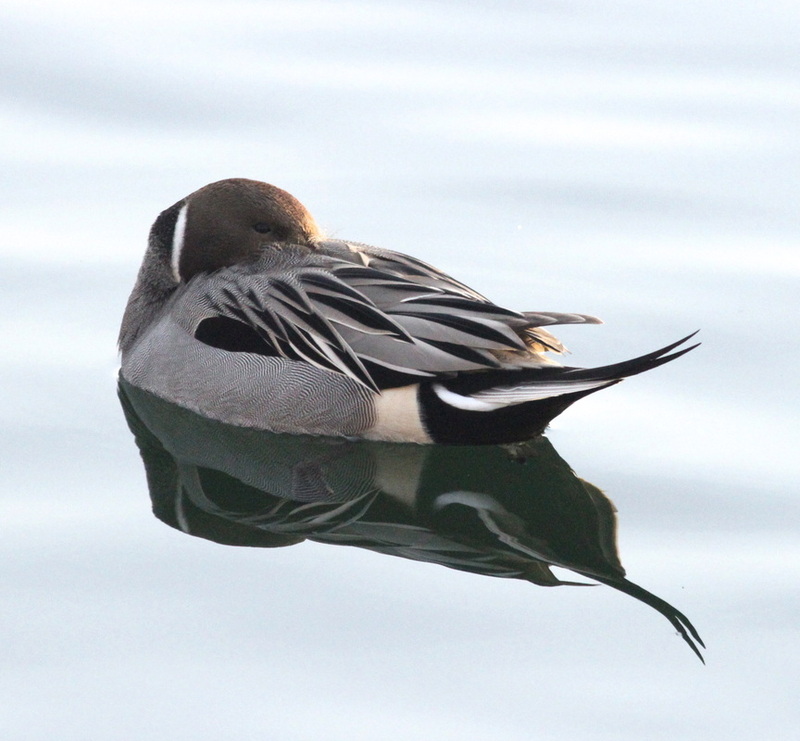 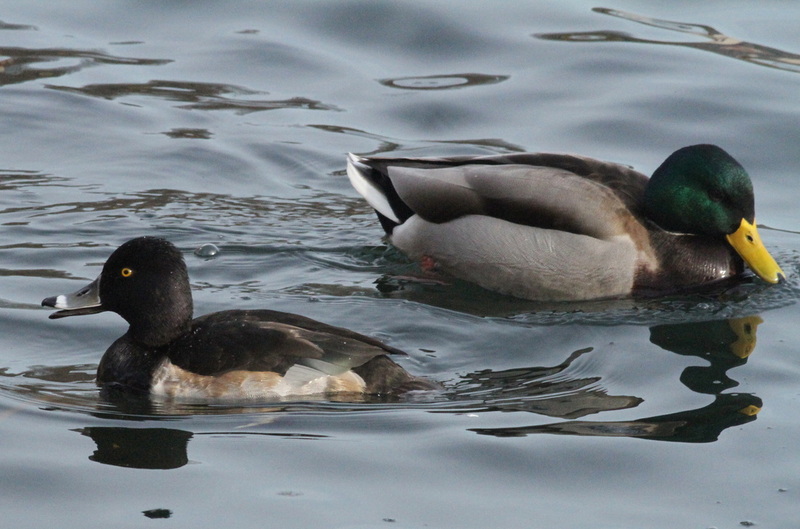 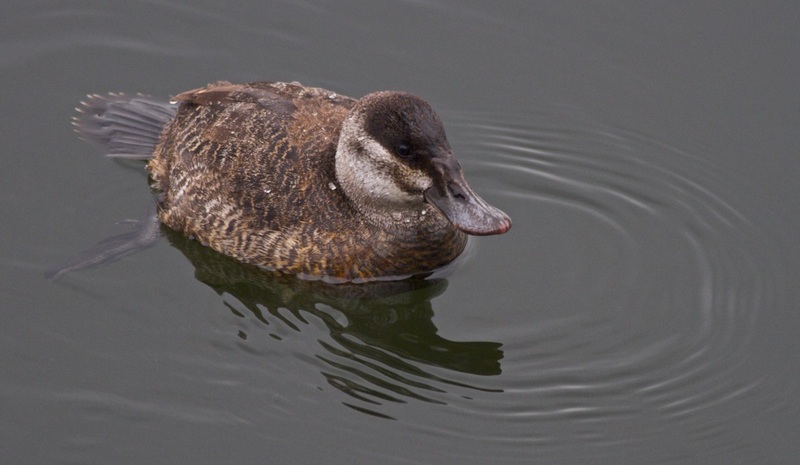 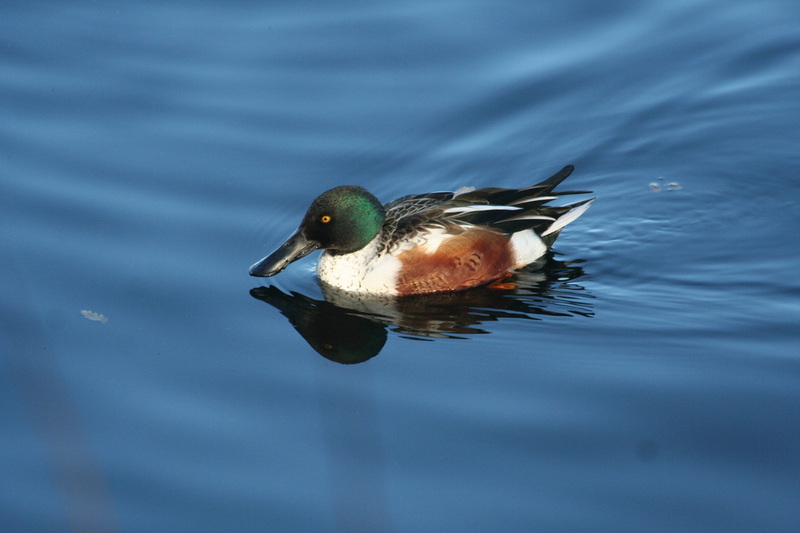 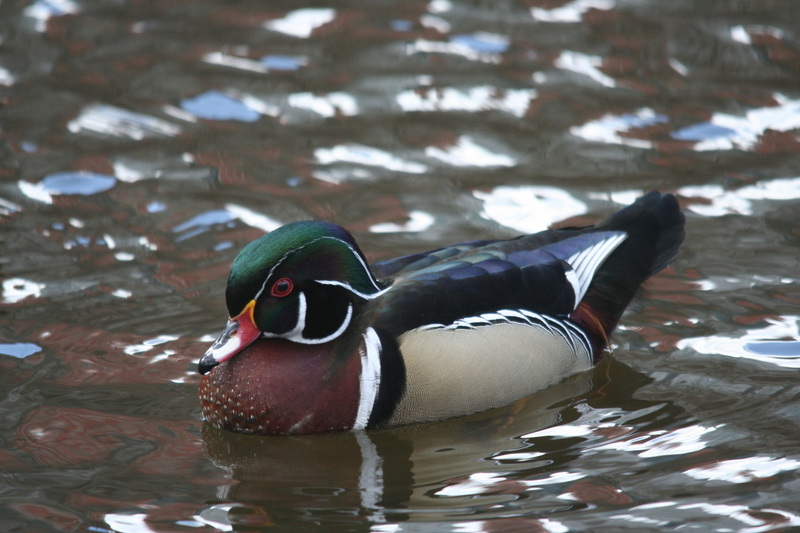 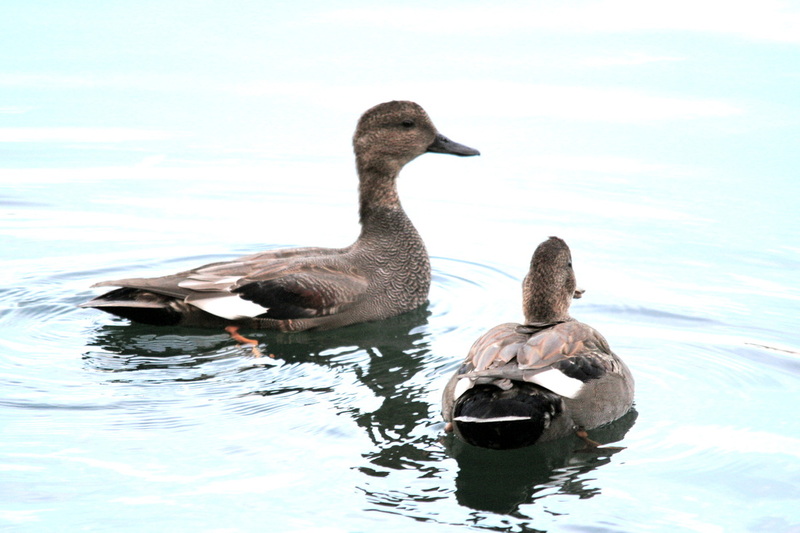 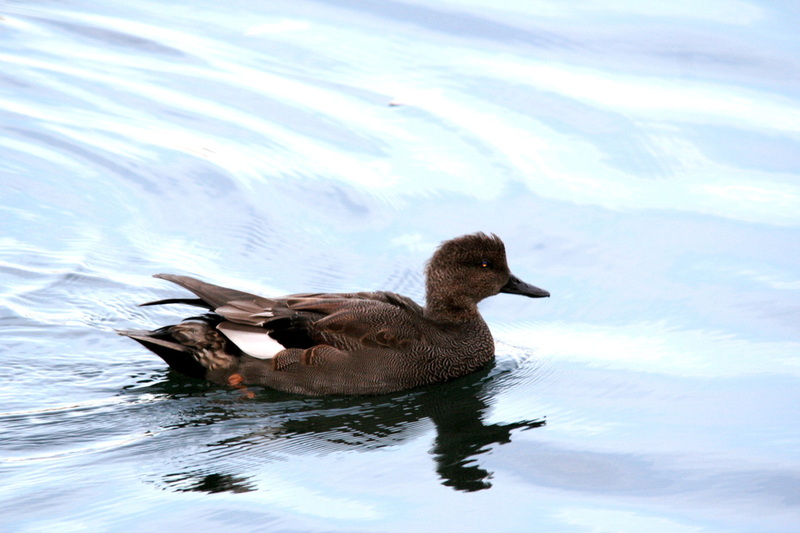 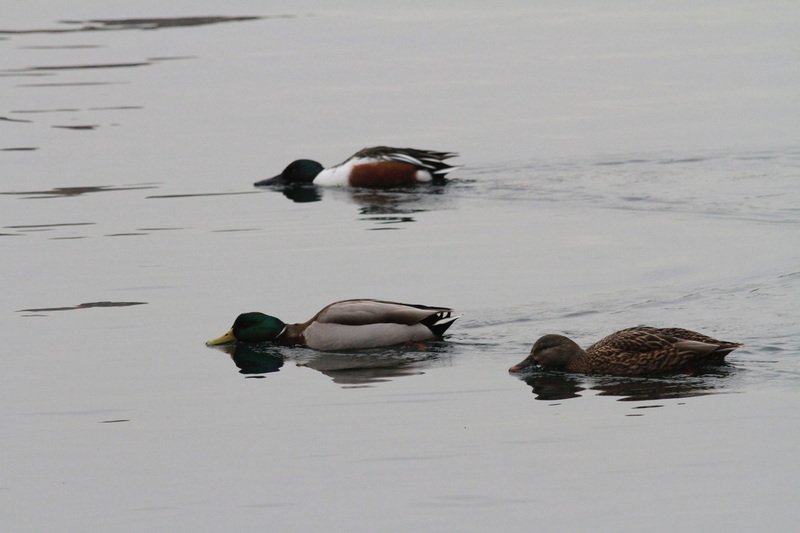 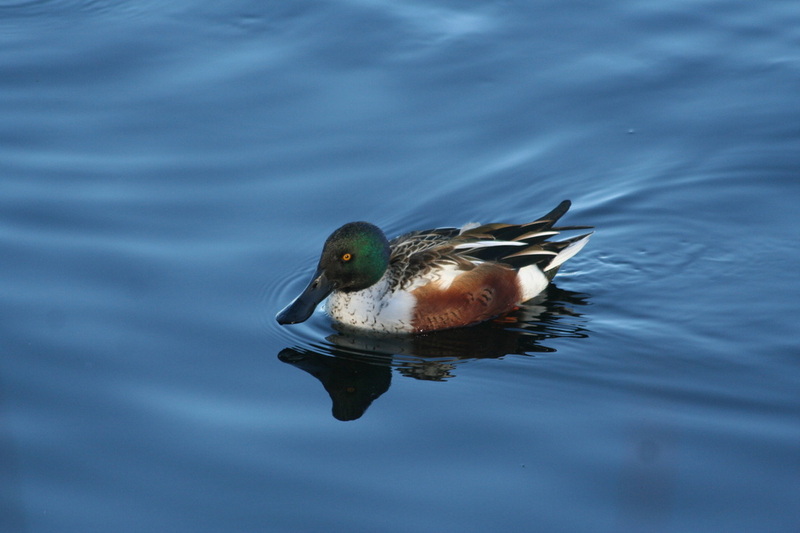 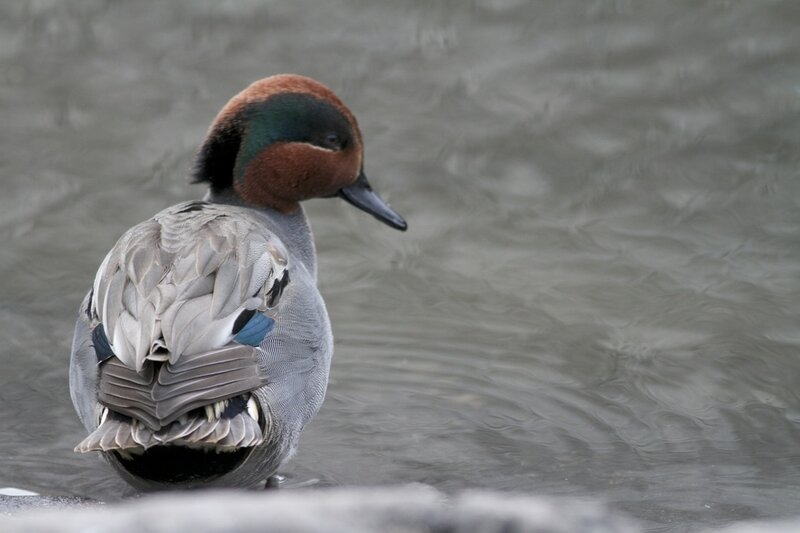 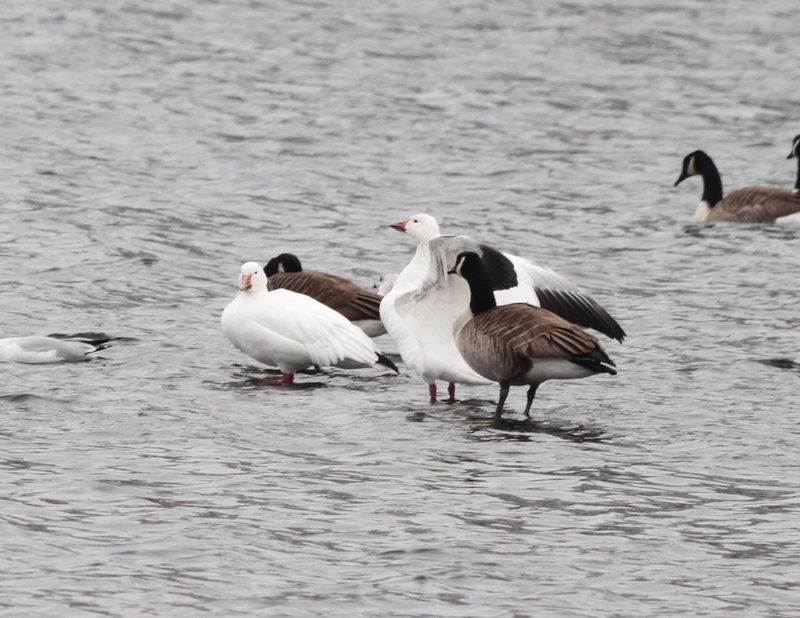 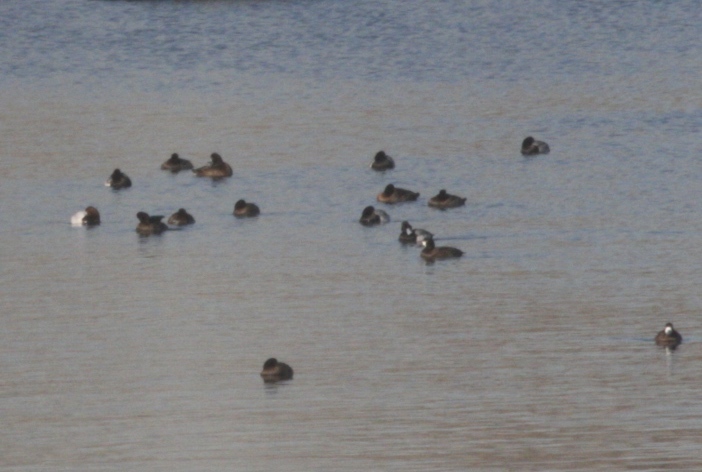 Resident ducks: Wood and Mallard can be observed all year.